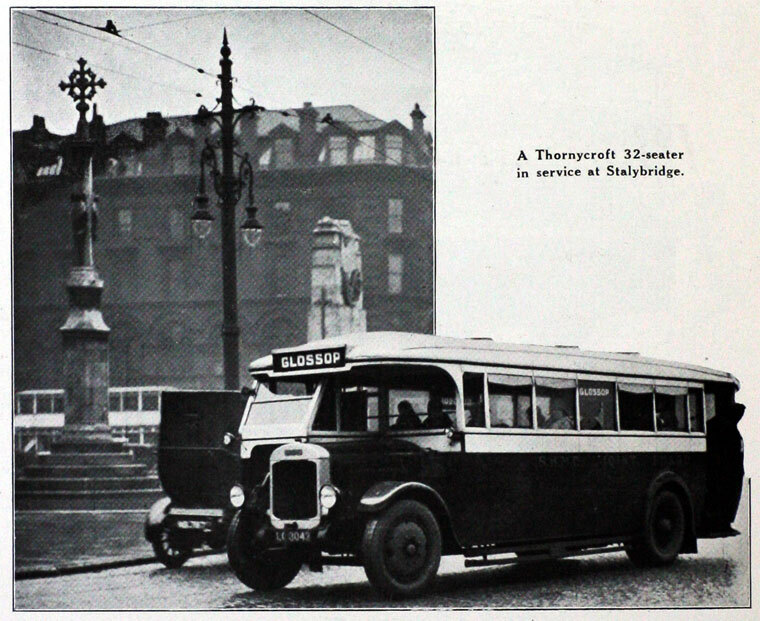 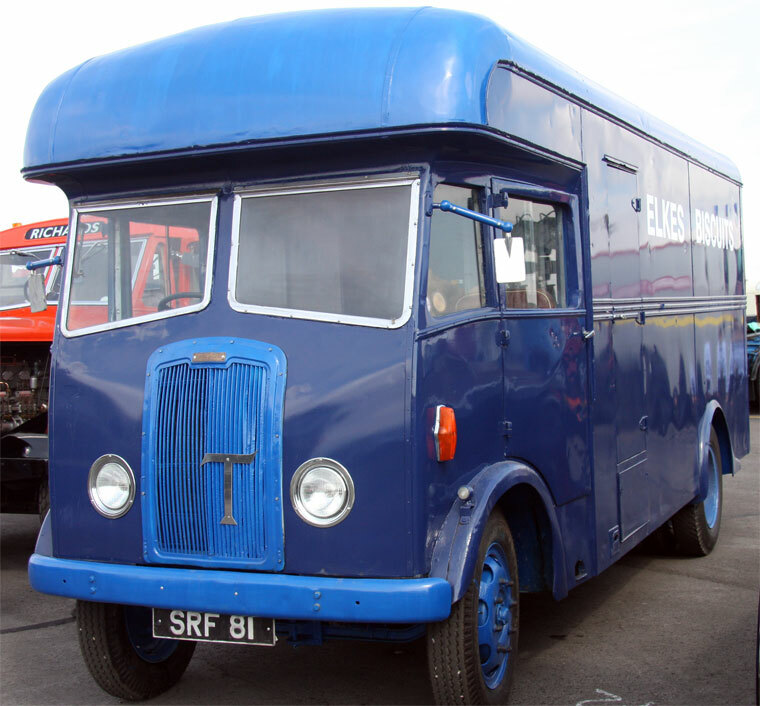 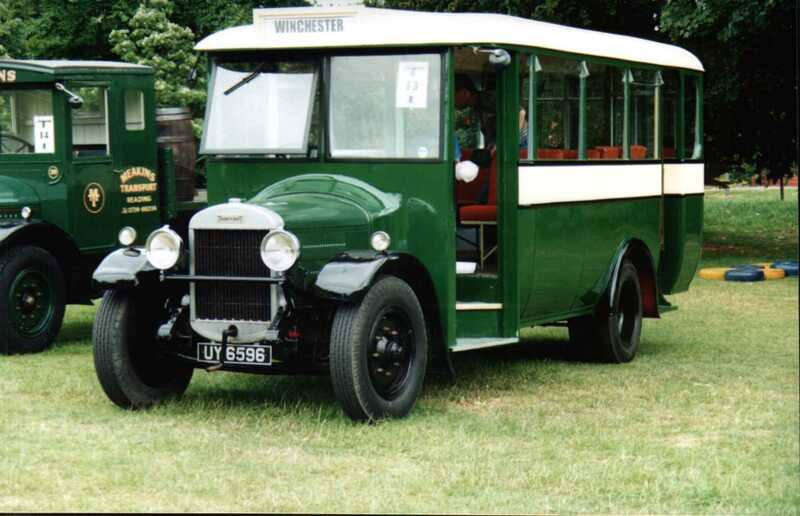 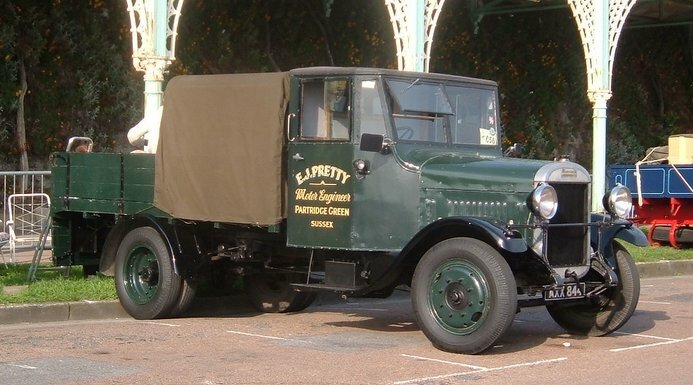 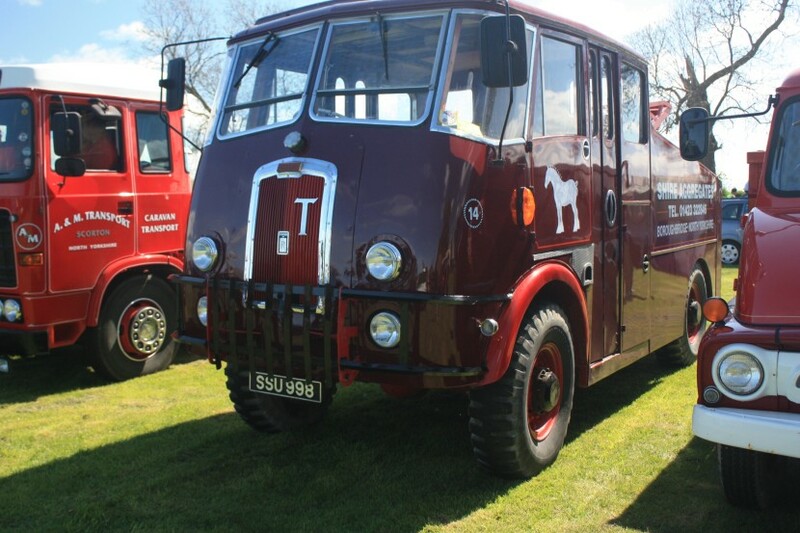 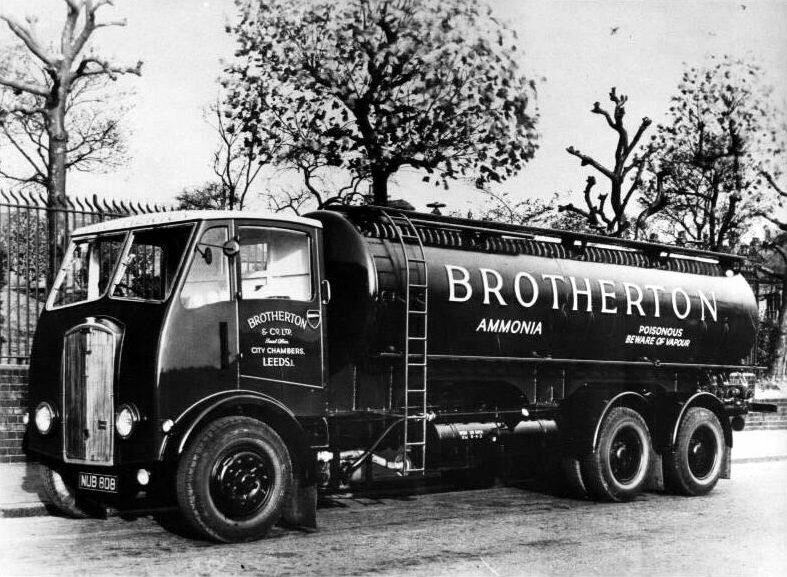 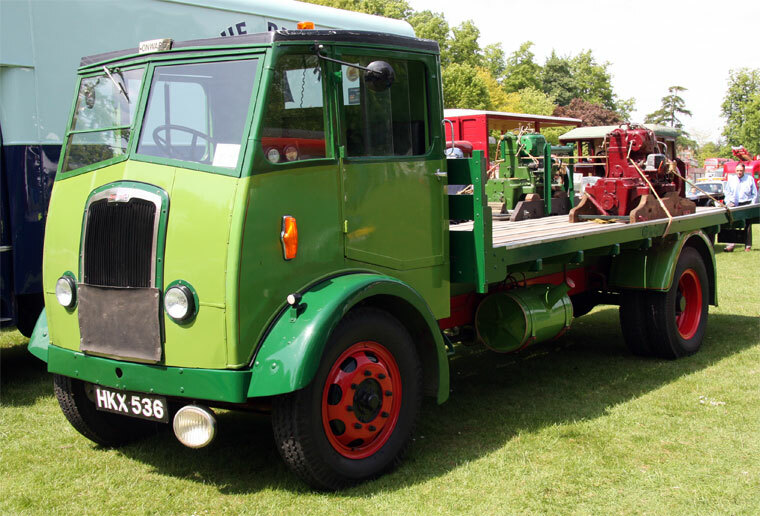 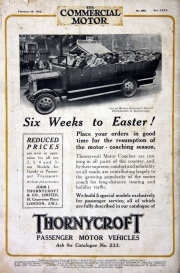 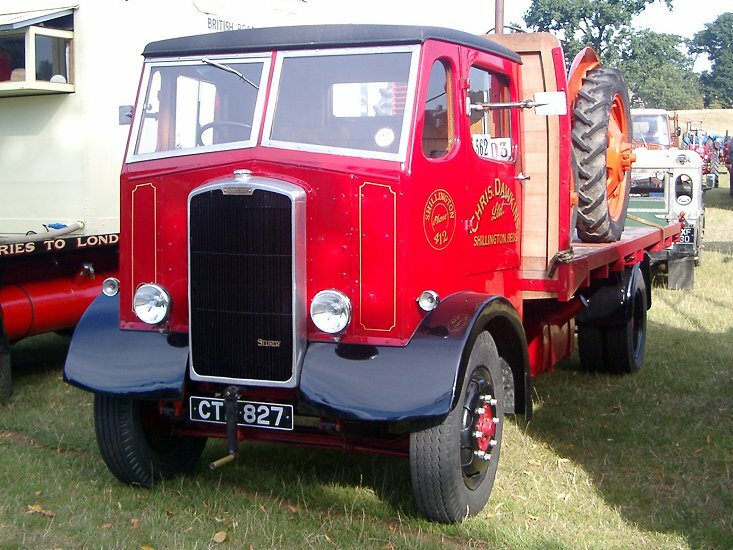 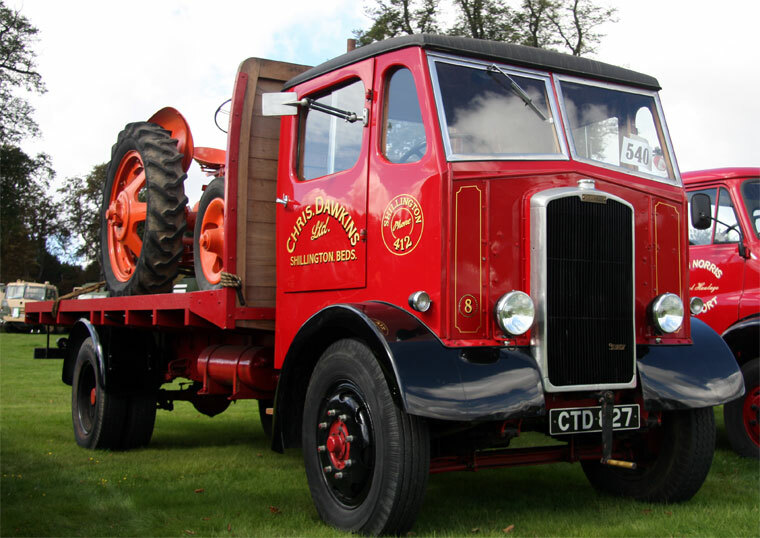 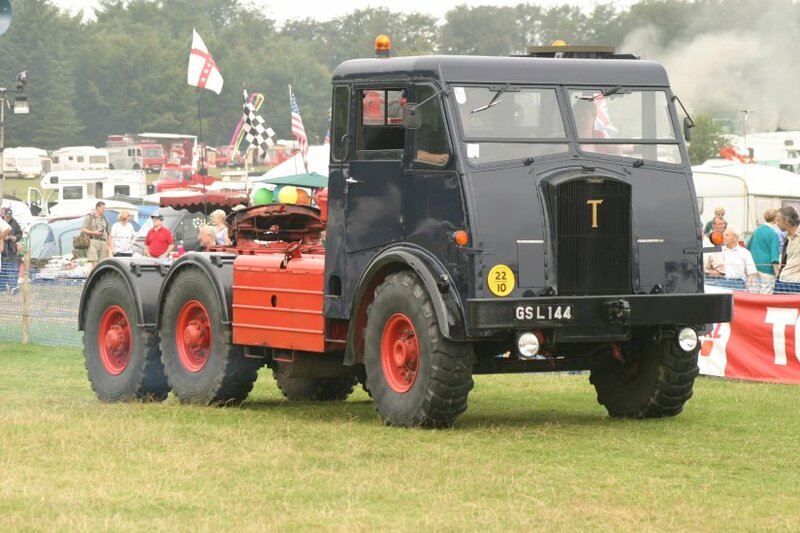 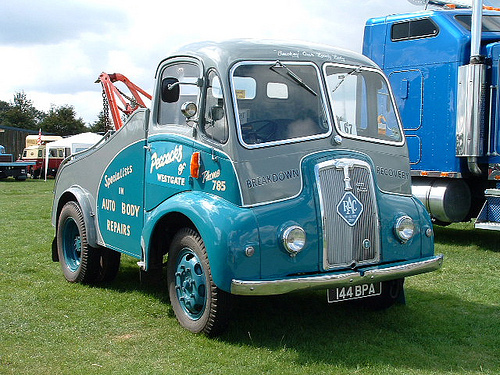 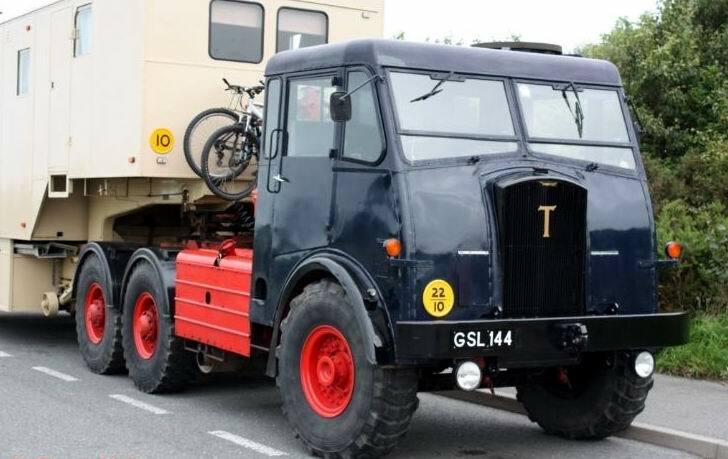 Thornycroft started out with steam vans and lorries. 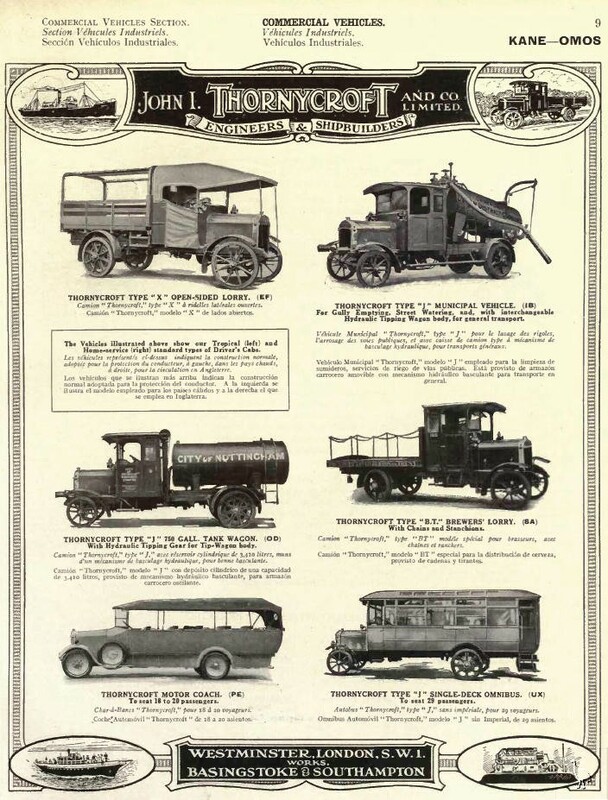 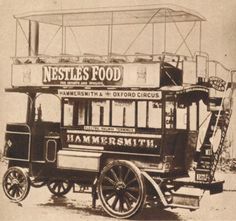 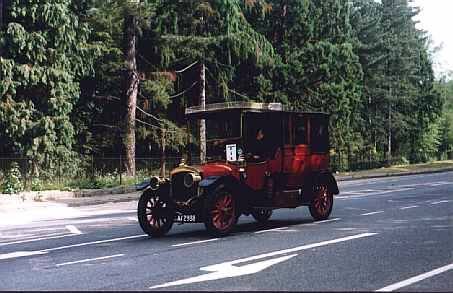 John Isaac Thornycroft, the naval engineer, built his first steam lorry in 1896. 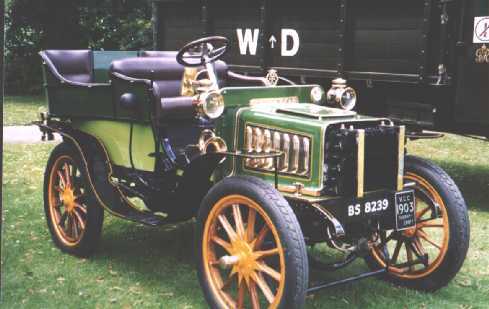 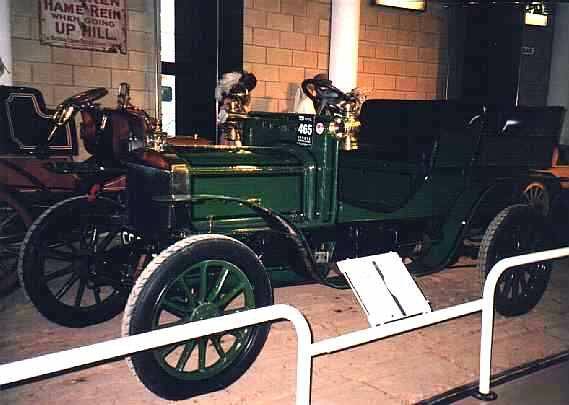 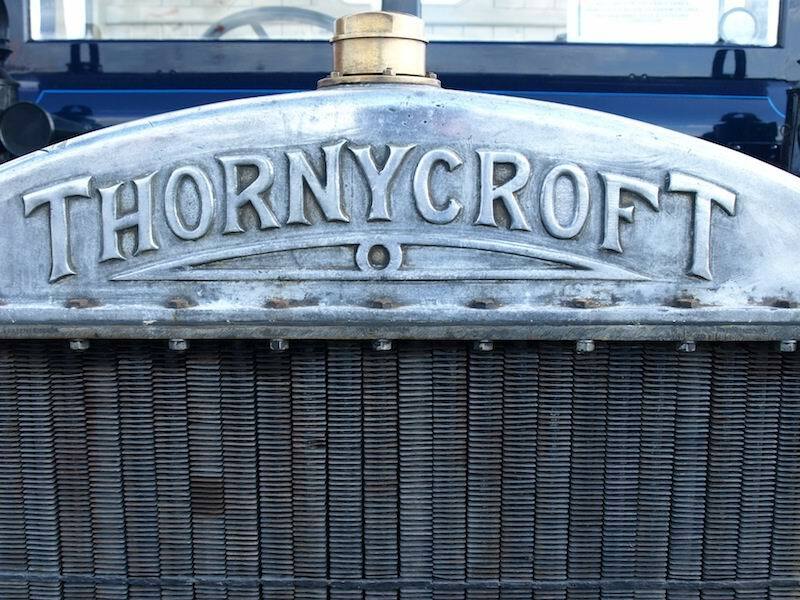 Thornycroft’s first petrolvehicle was built in 1902 and the company completed the move into internal combustion engine power in 1907. 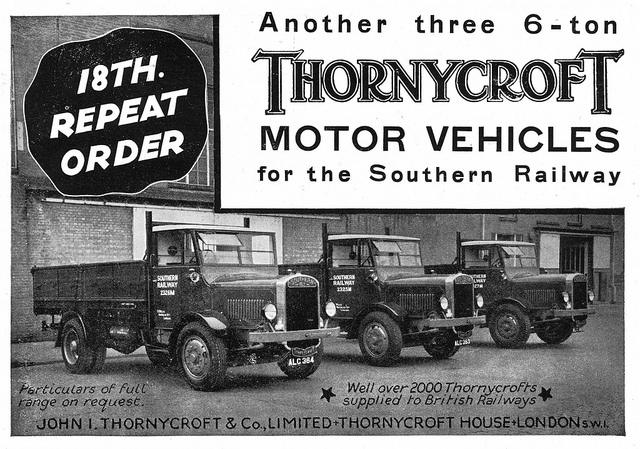 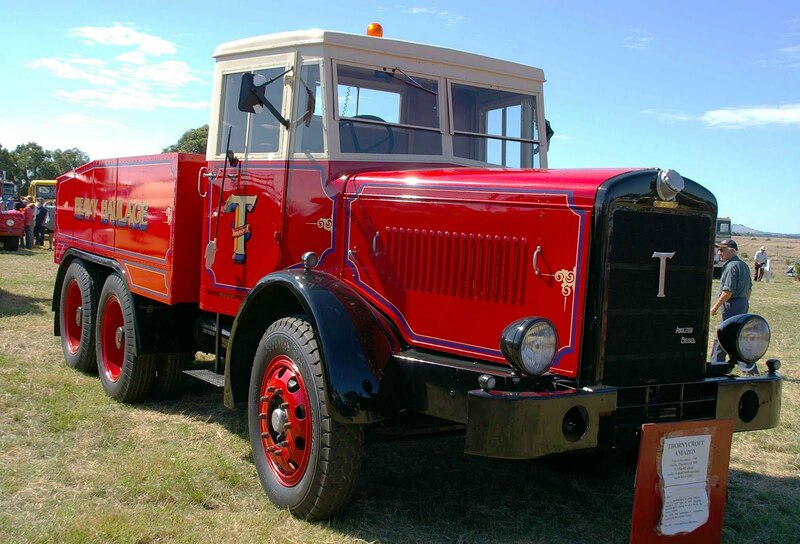 From 1931, Thornycroft used names for their vehicle range – descriptive and colourful ones. 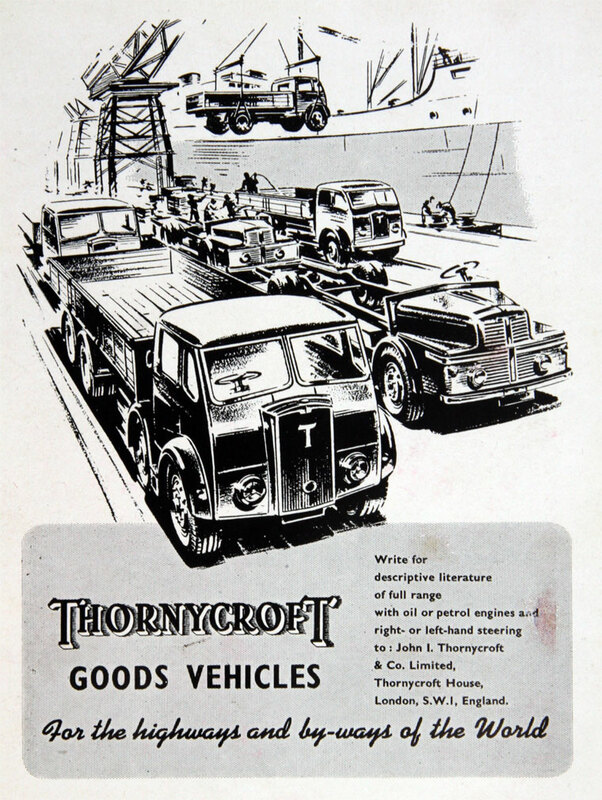 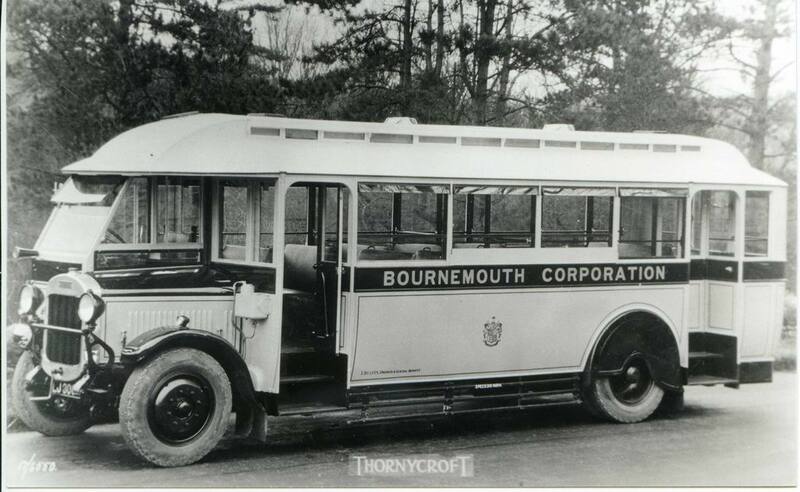 In 1948, the company name was changed to Transport Equipment (Thornycroft) Ltd to prevent confusion with the shipbuilding Thornycroft company. 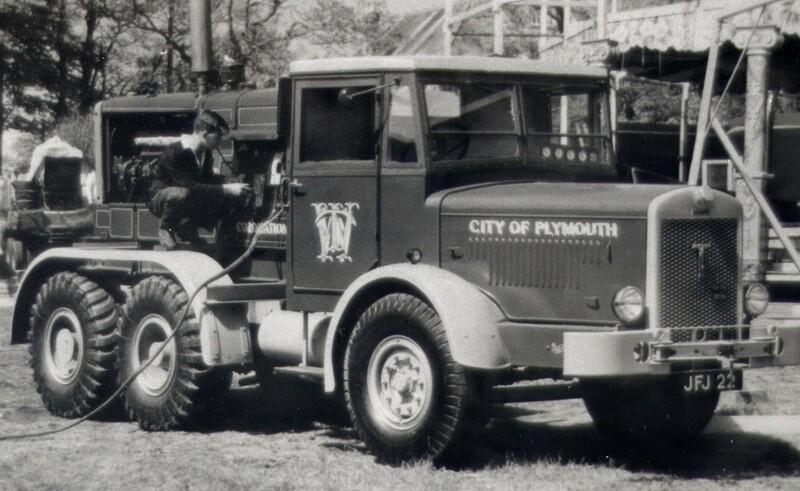 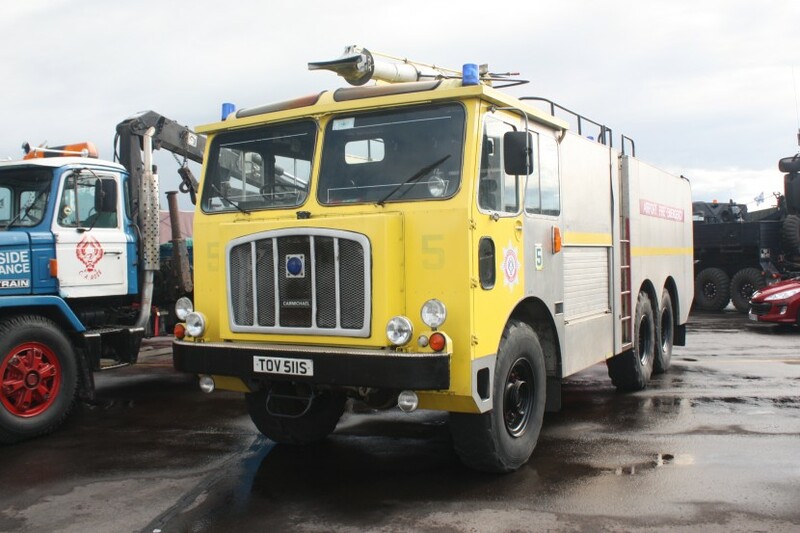 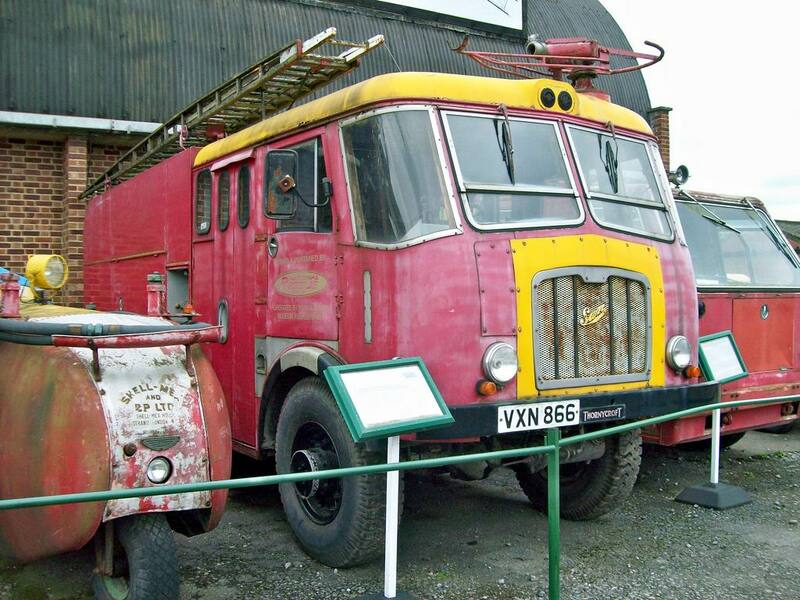 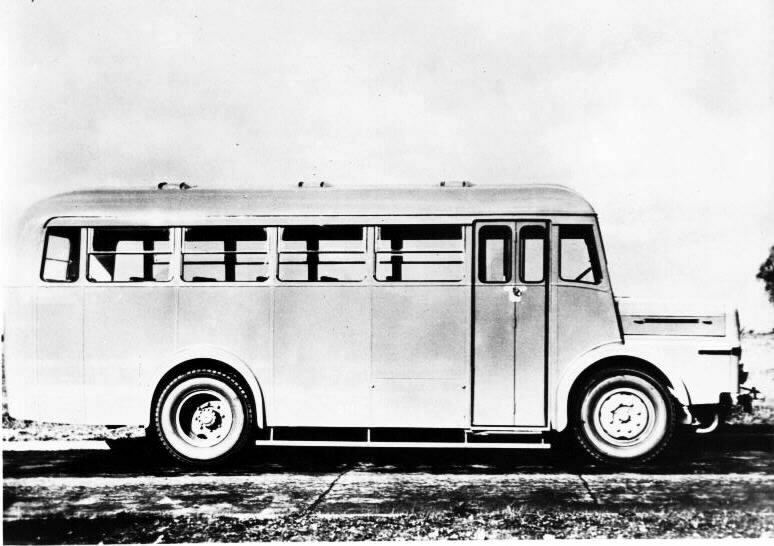 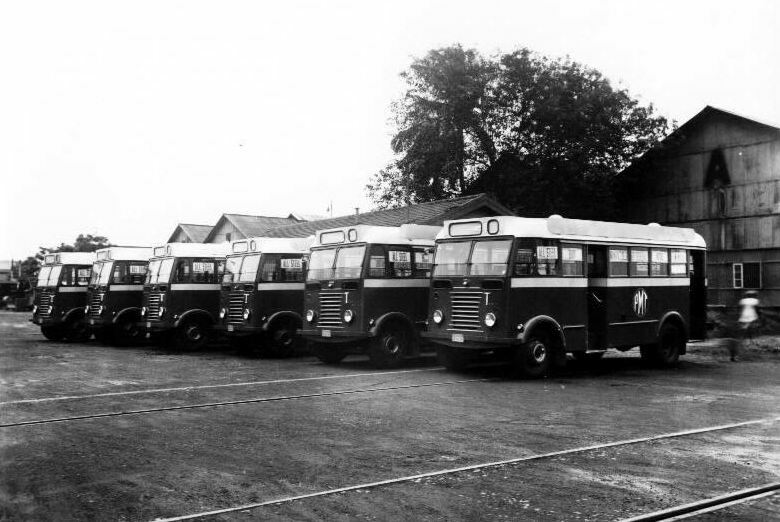 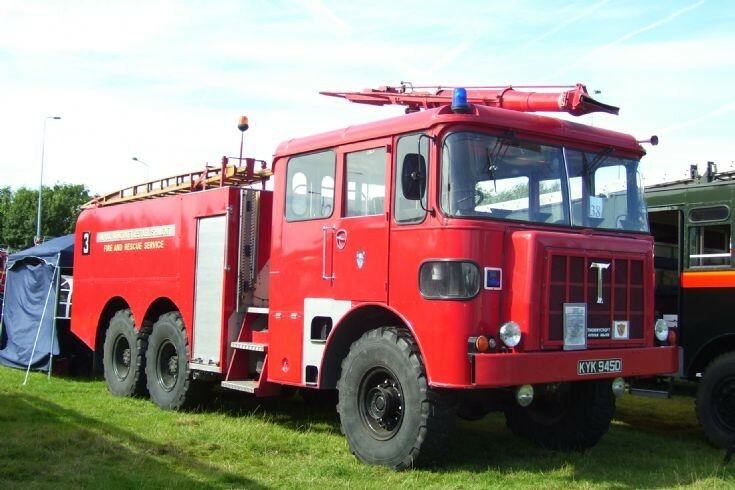 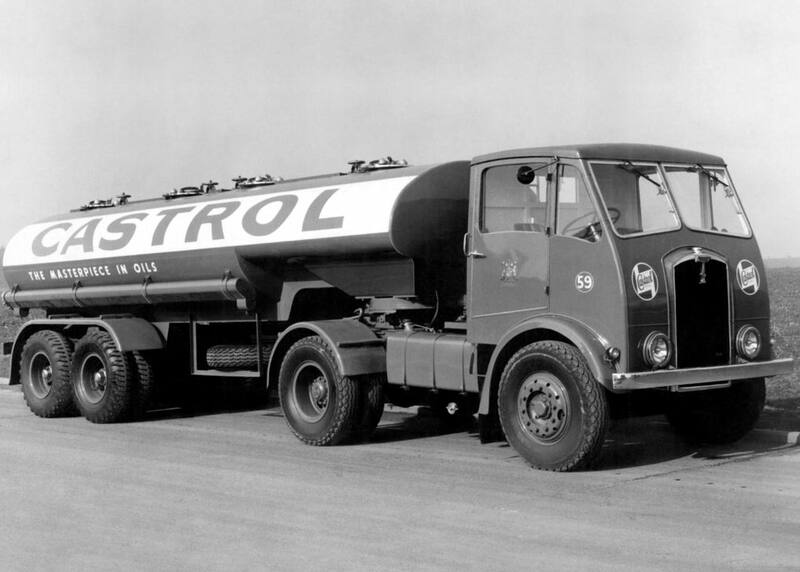 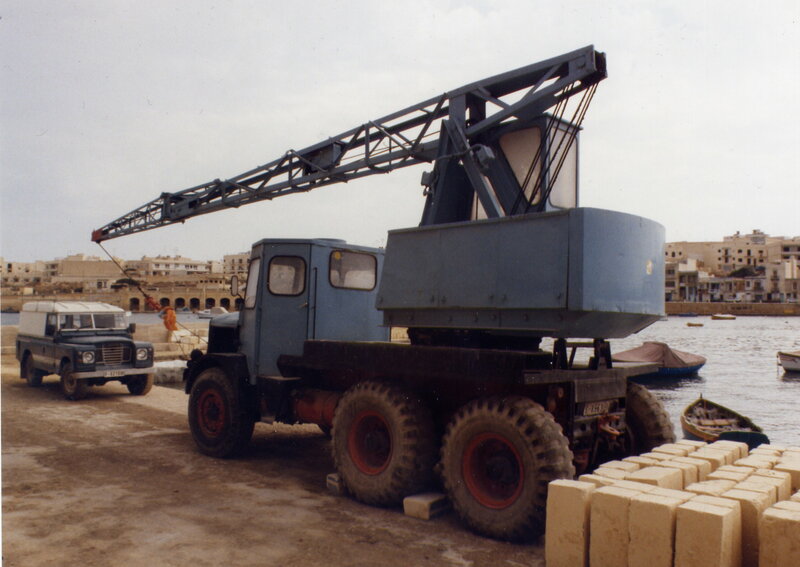 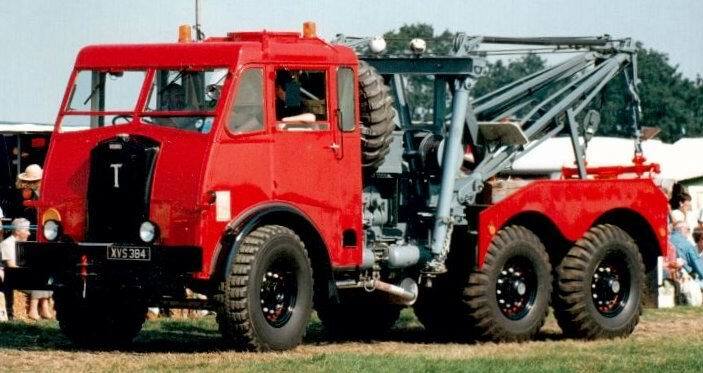 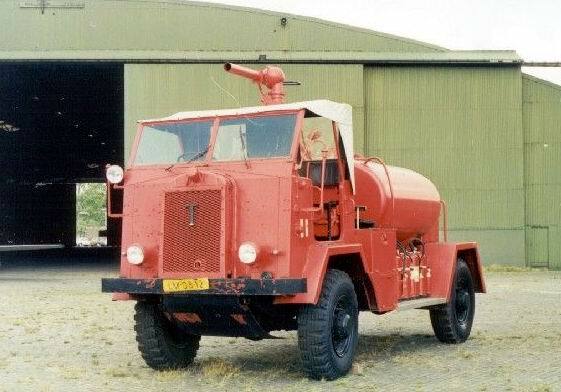 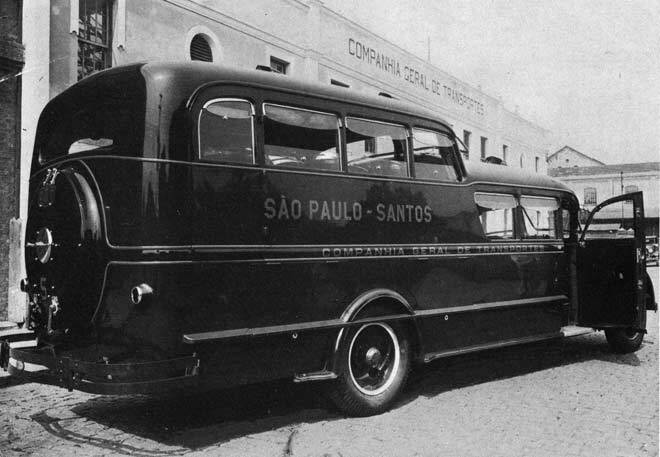 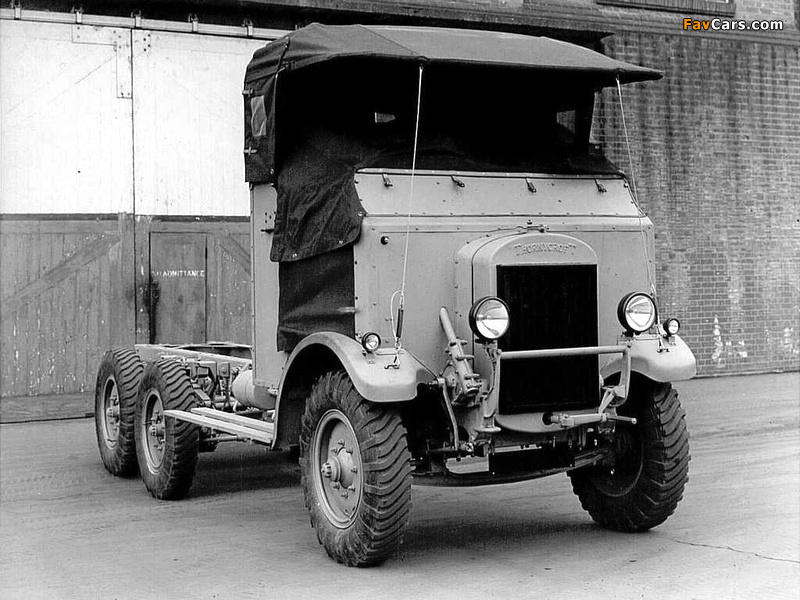 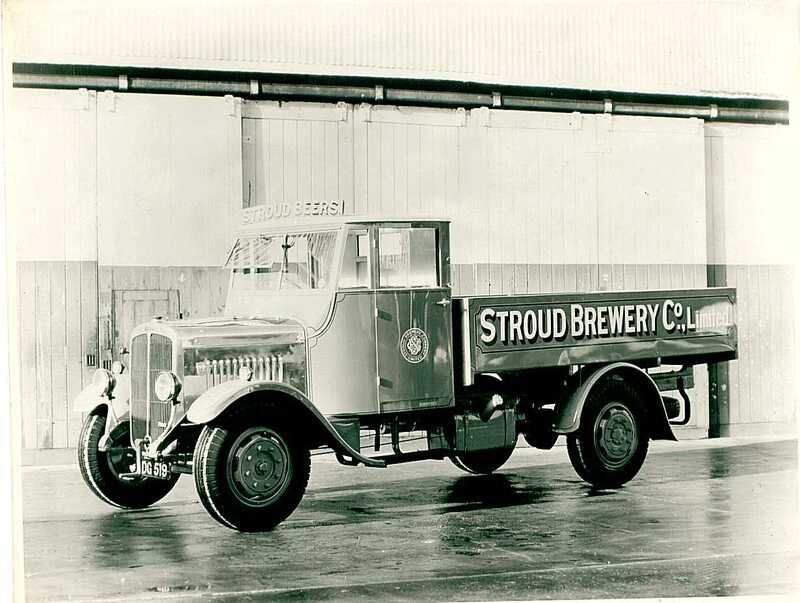 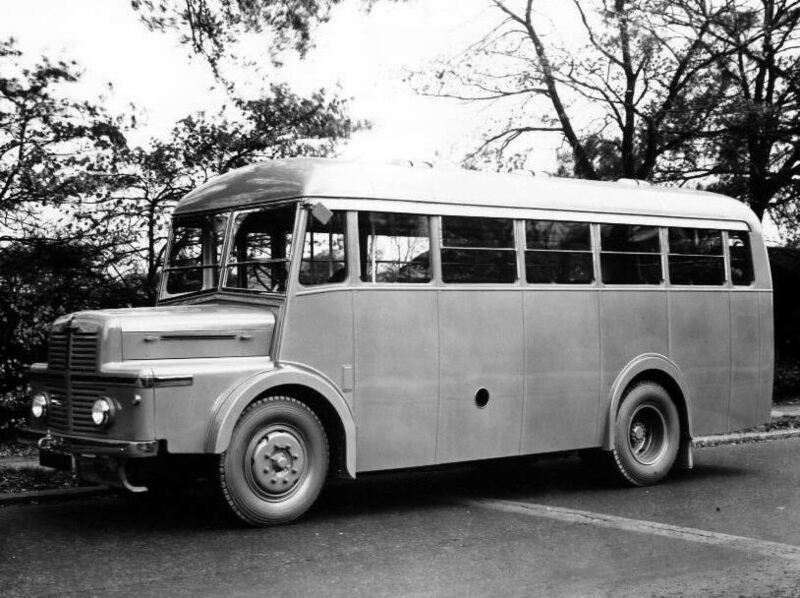 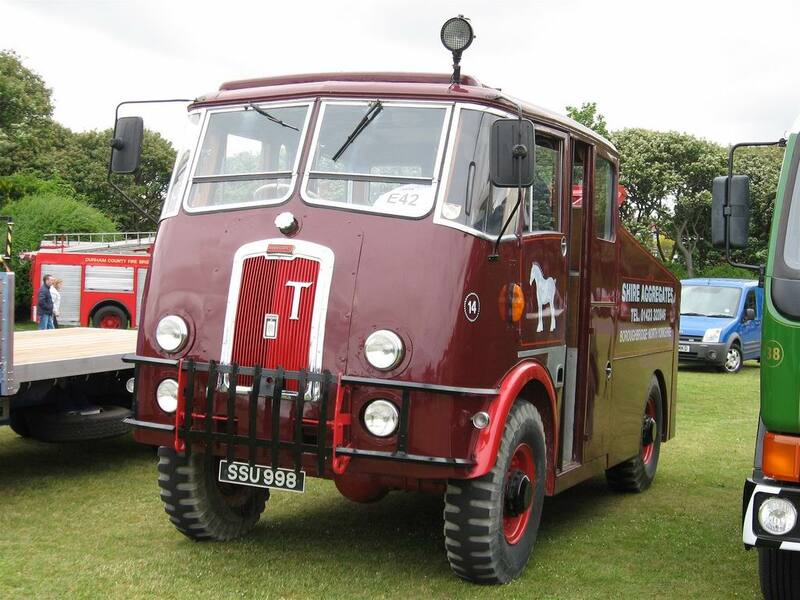 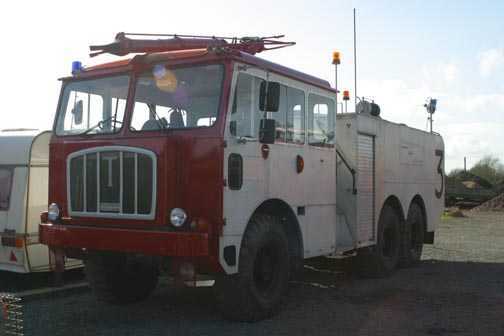 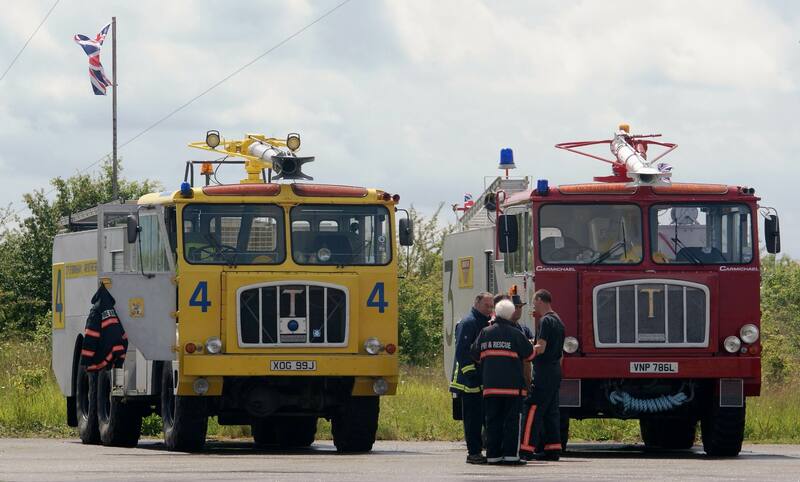 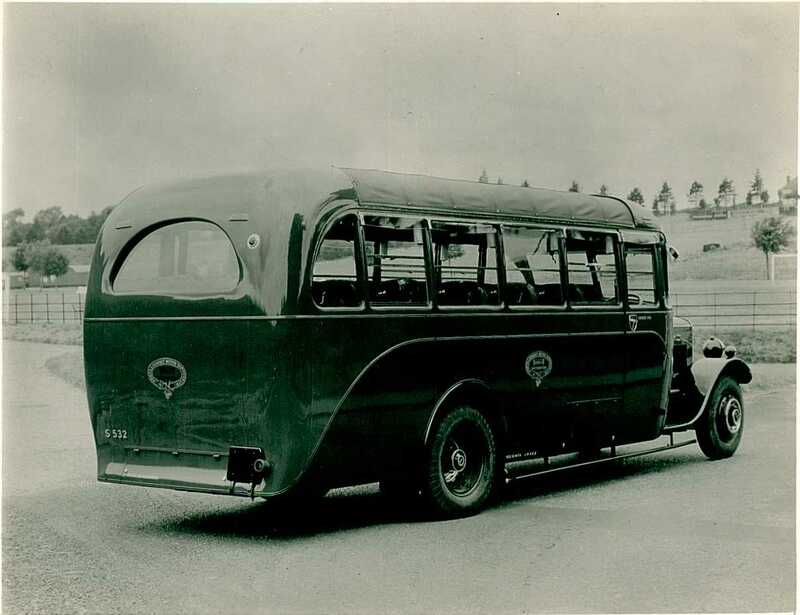 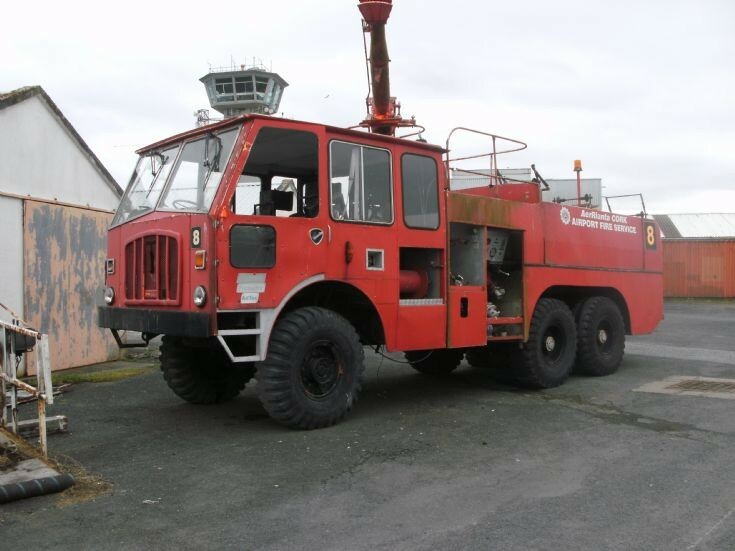 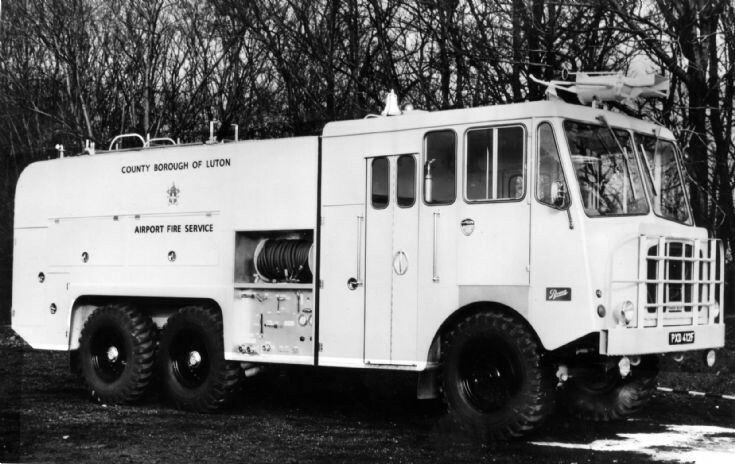 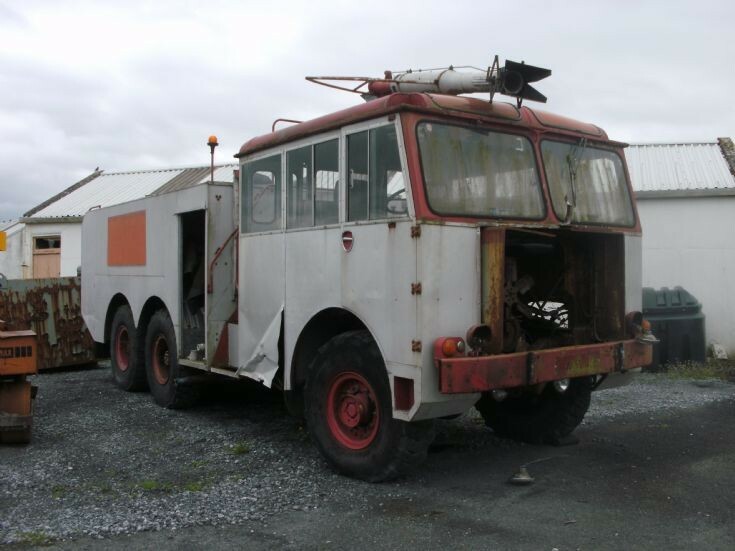 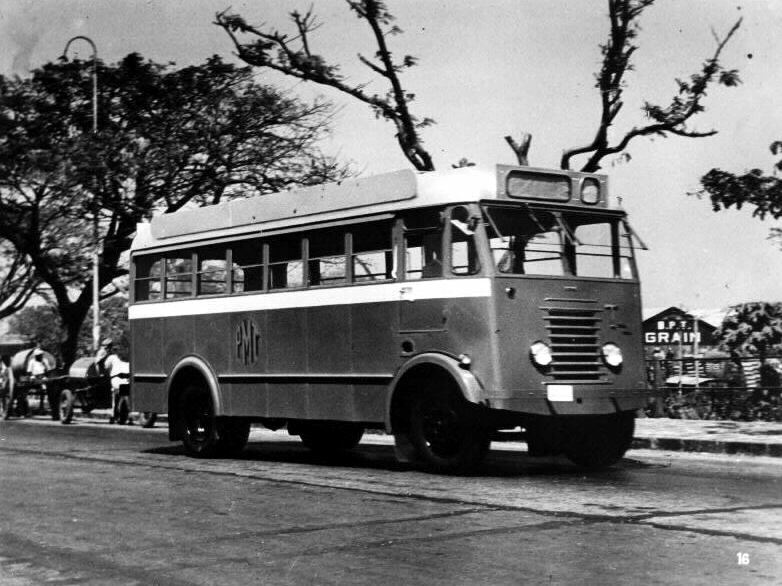 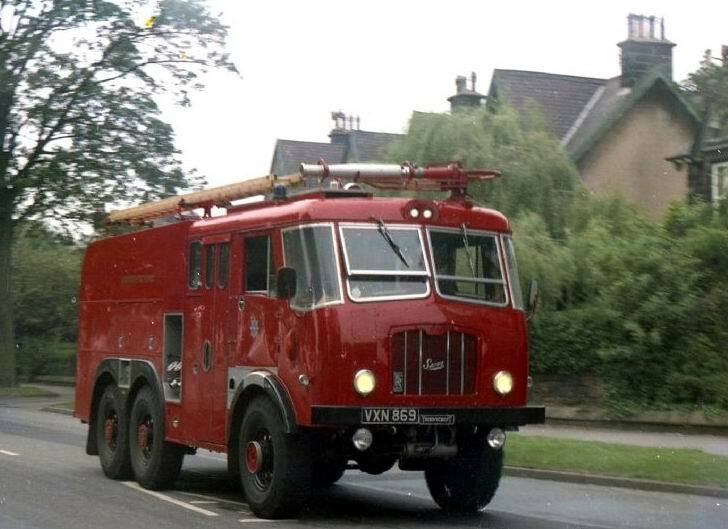 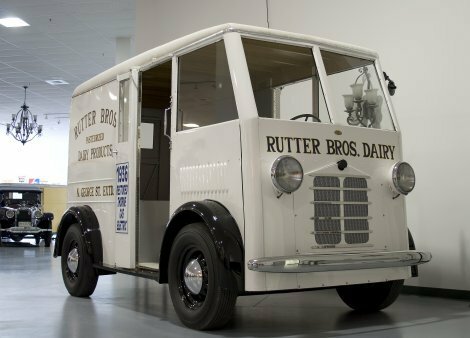 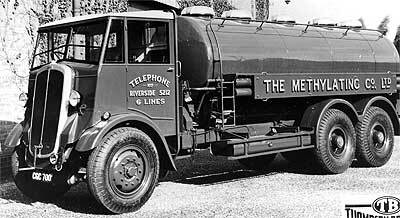 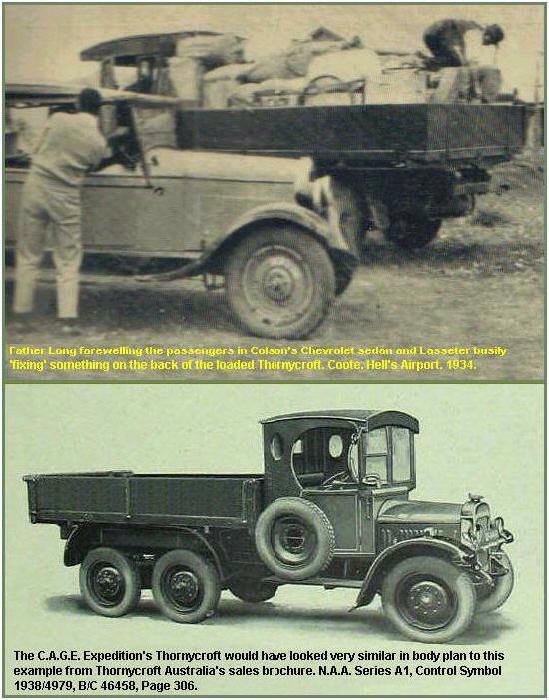 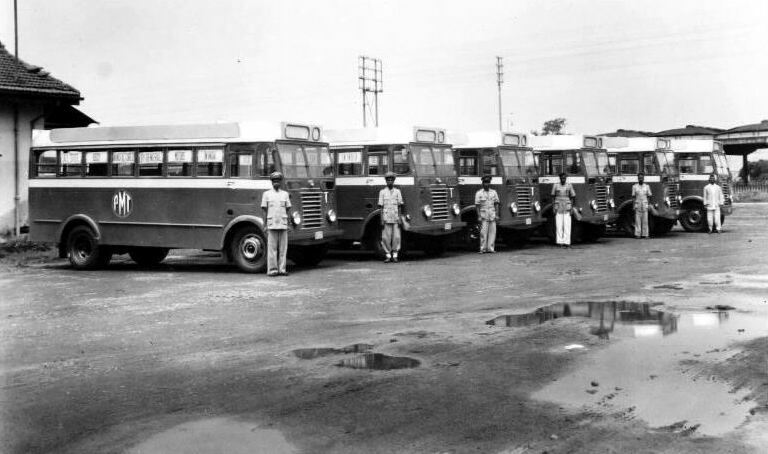 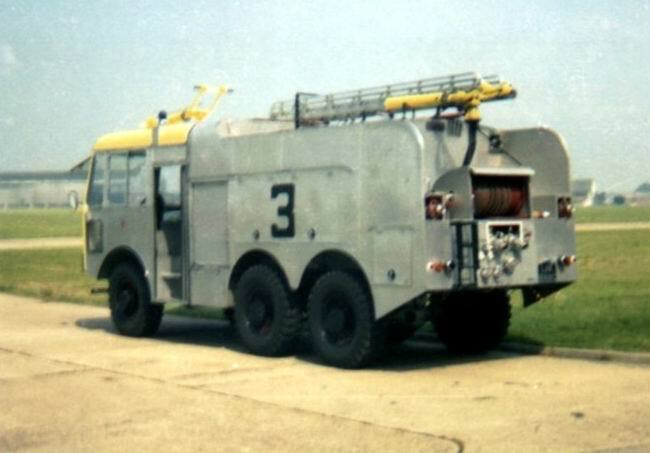 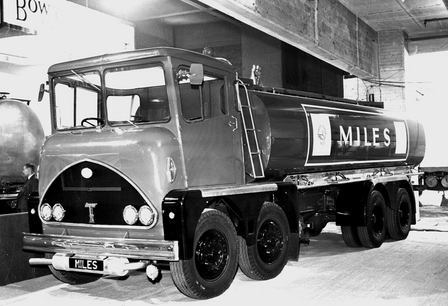 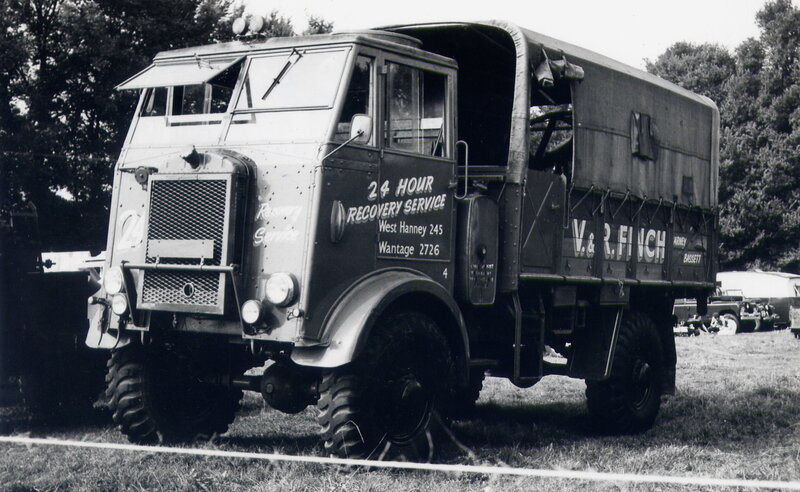 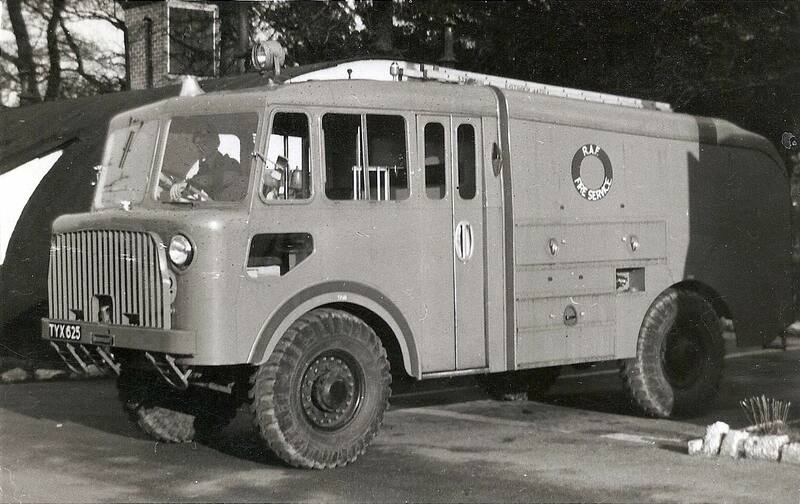 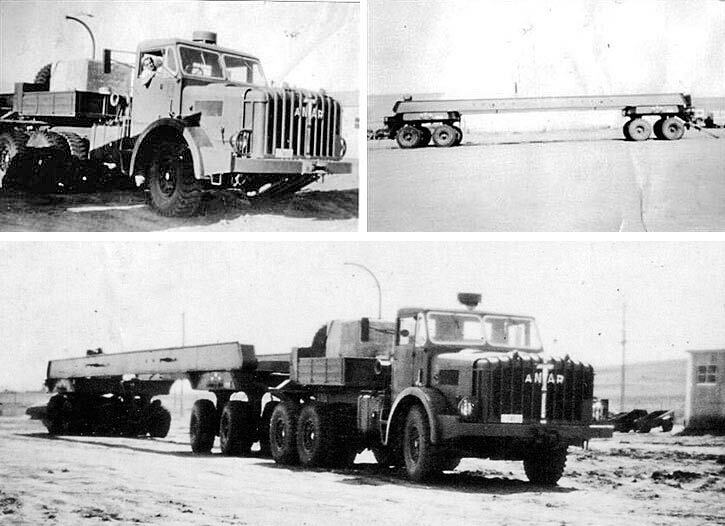 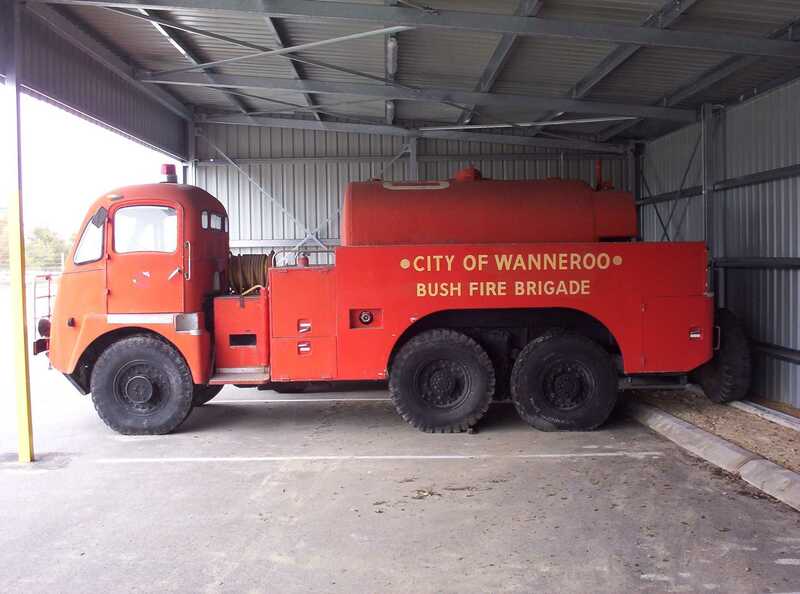 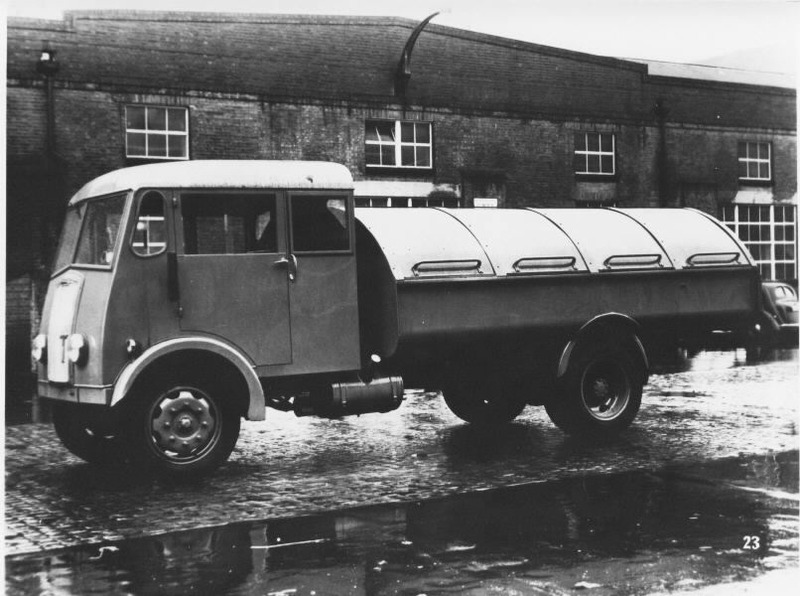 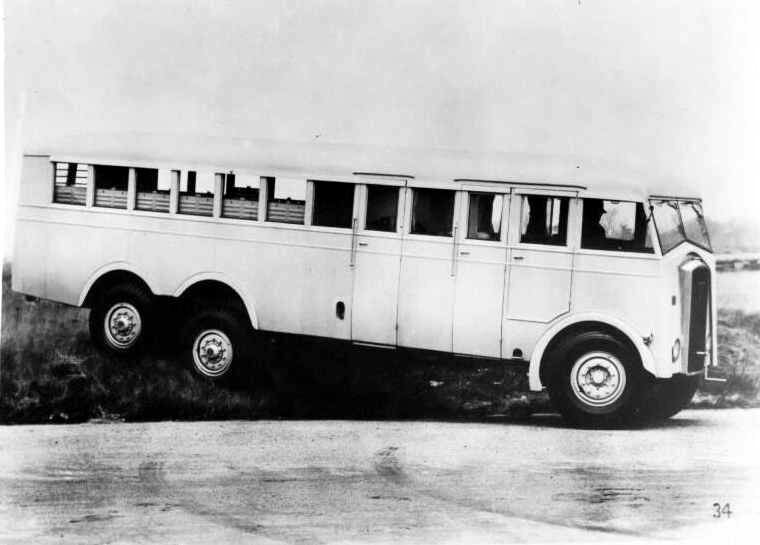 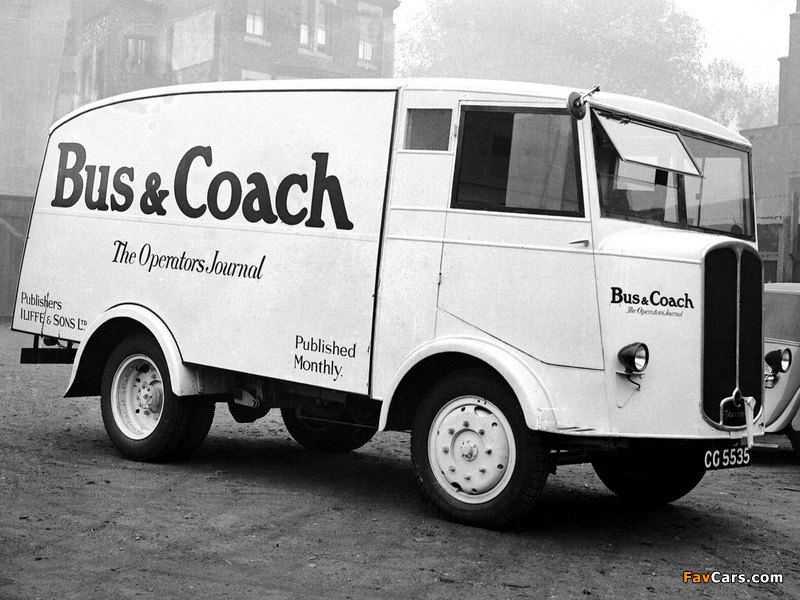 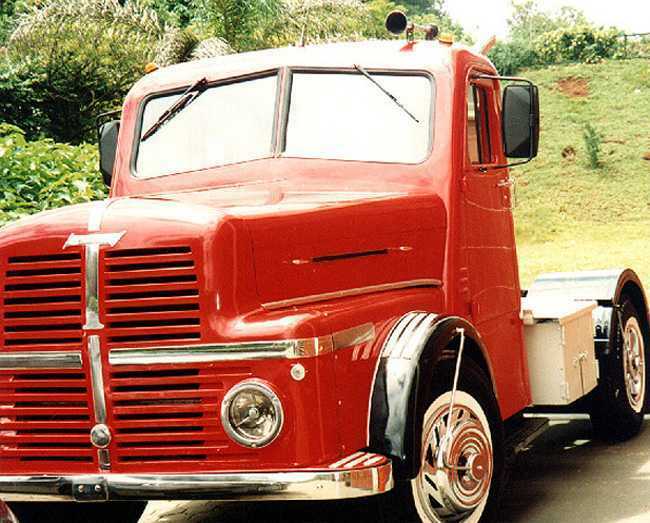 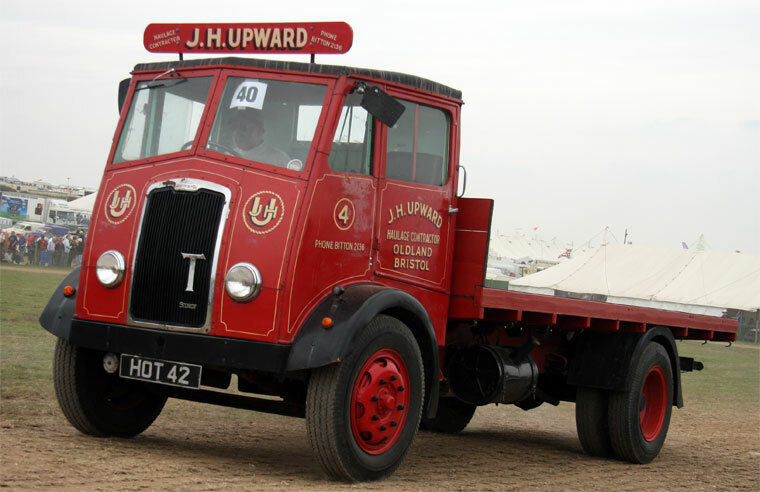 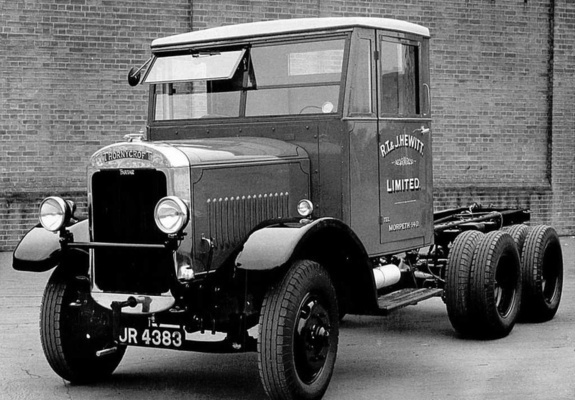 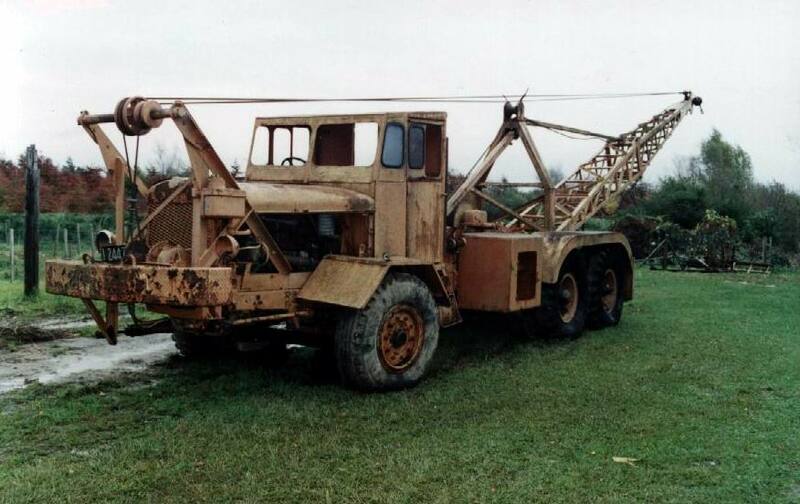 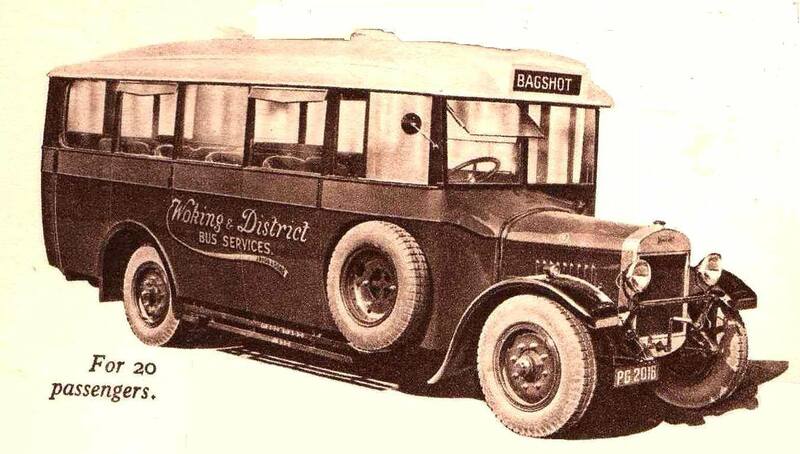 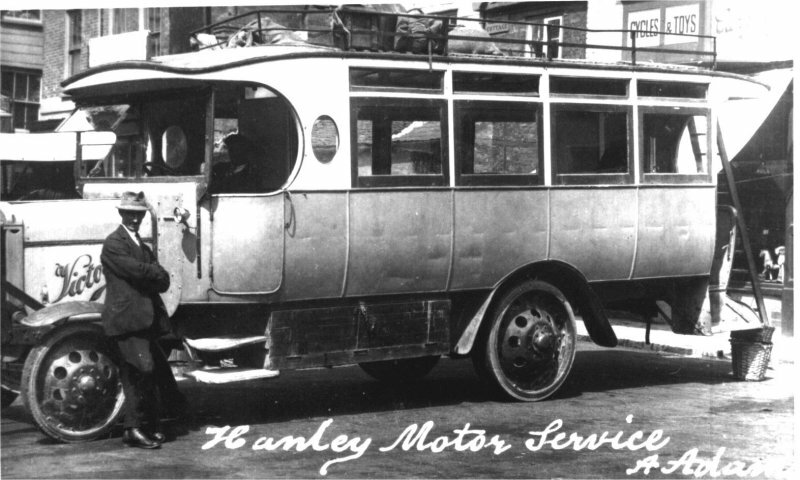 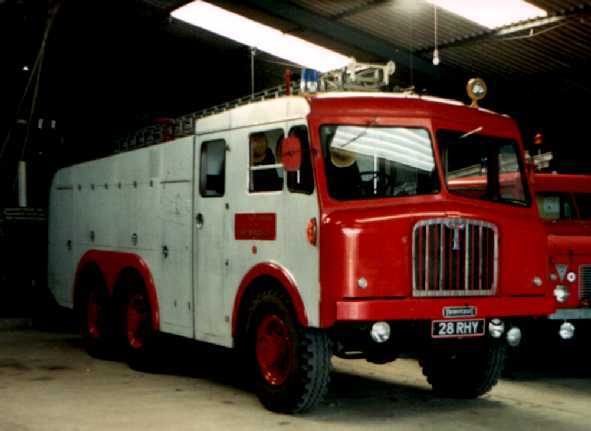 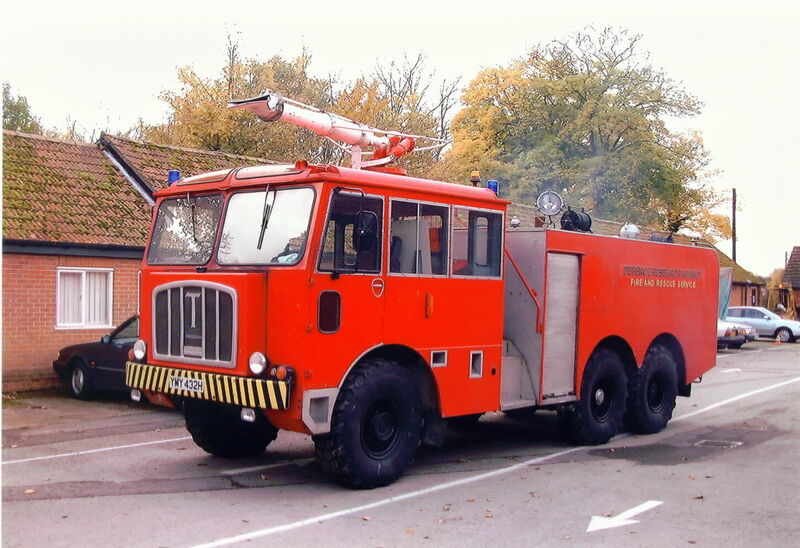 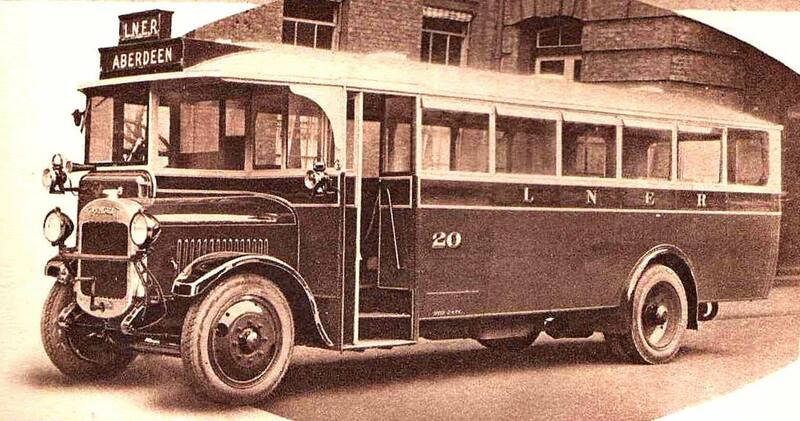 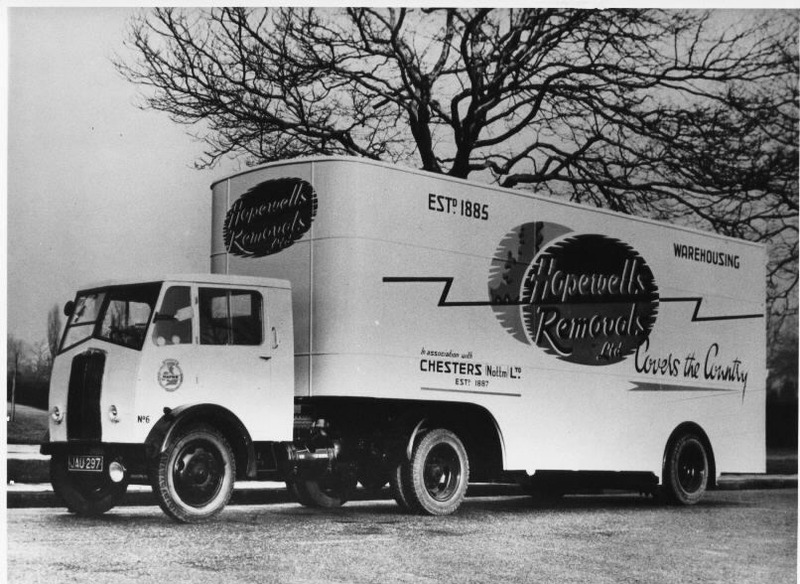 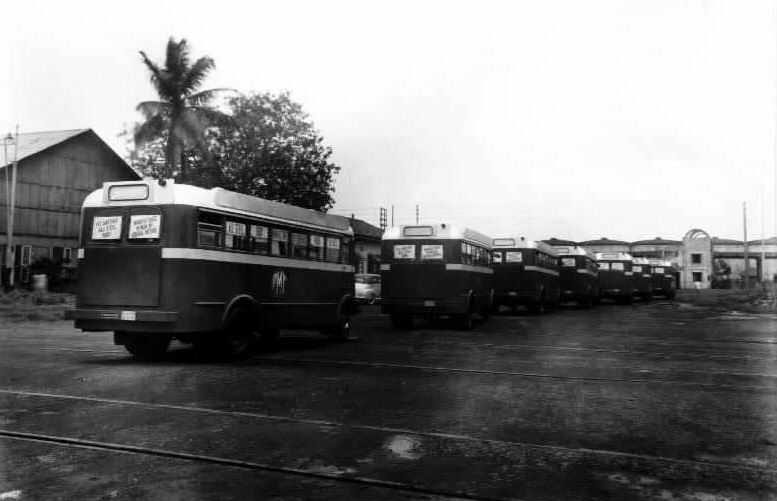 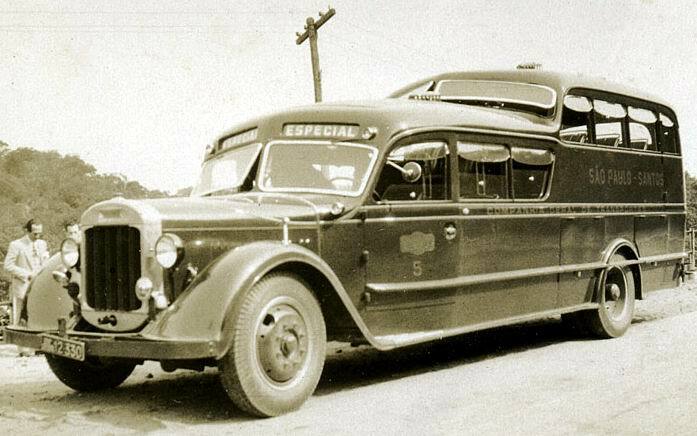 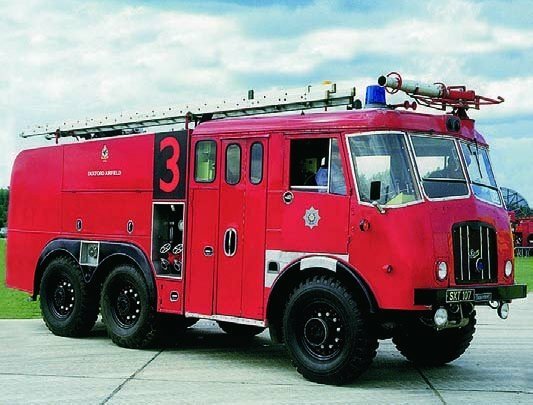 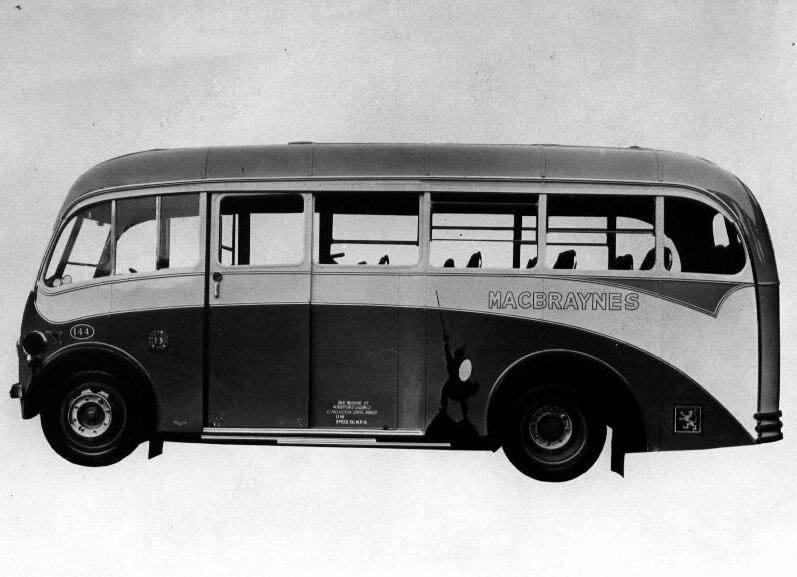 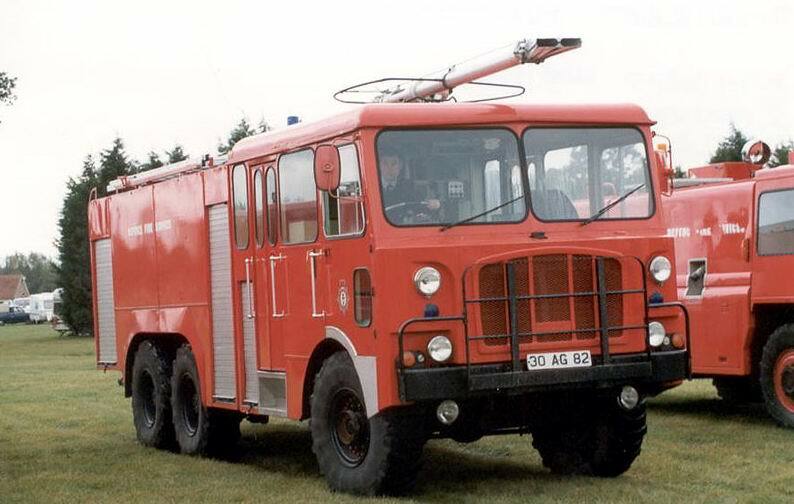 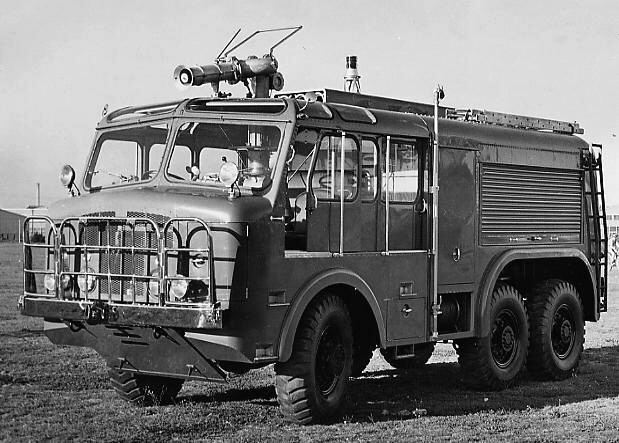 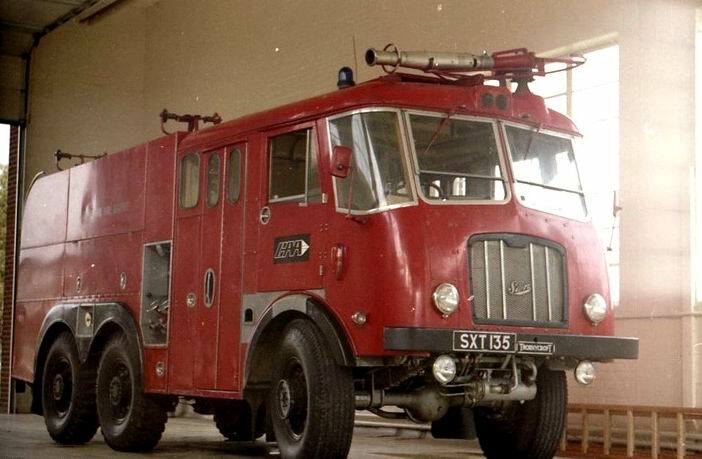 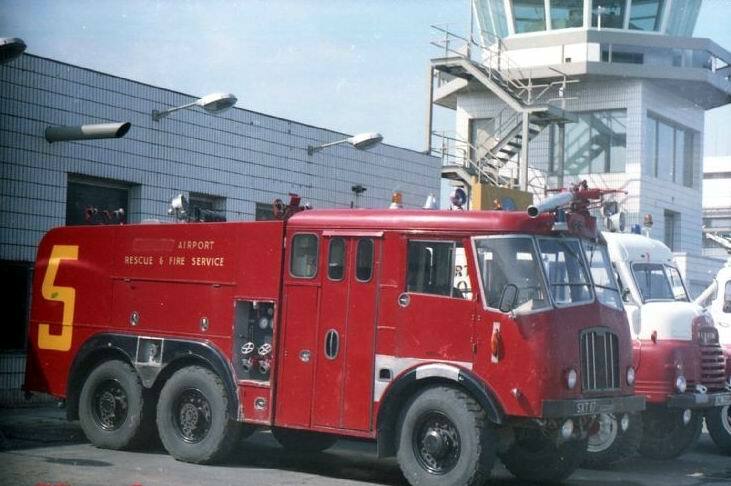 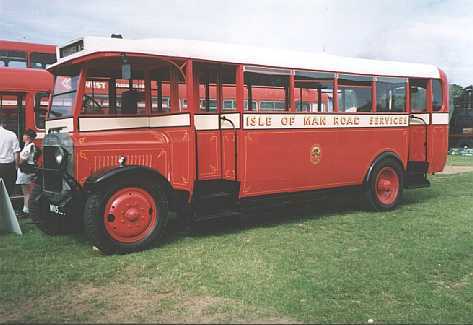 The company was well known for providing fire-engine chassis, with multi-axle drive for uses such as airports. 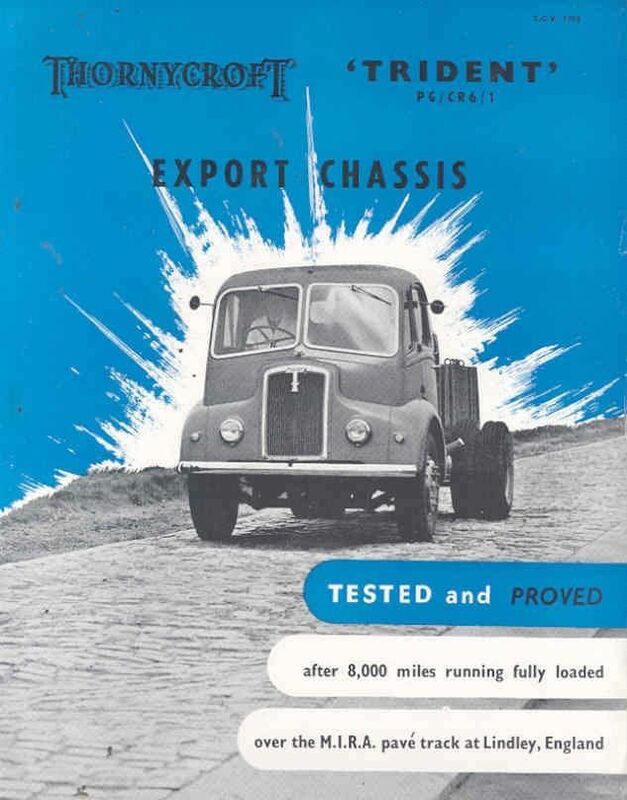 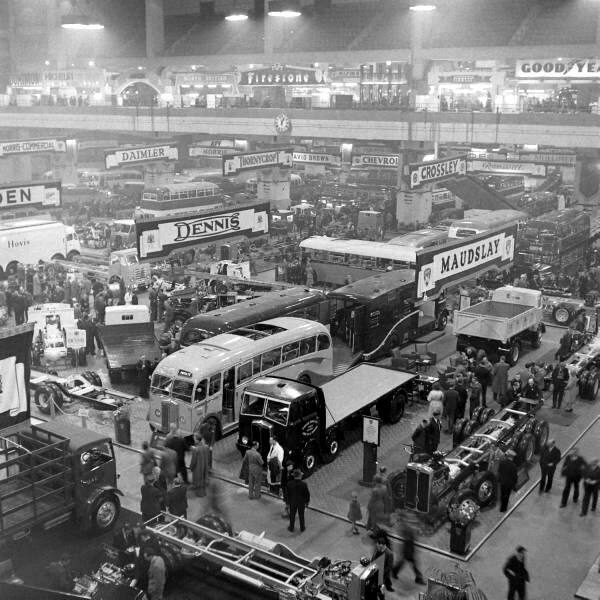 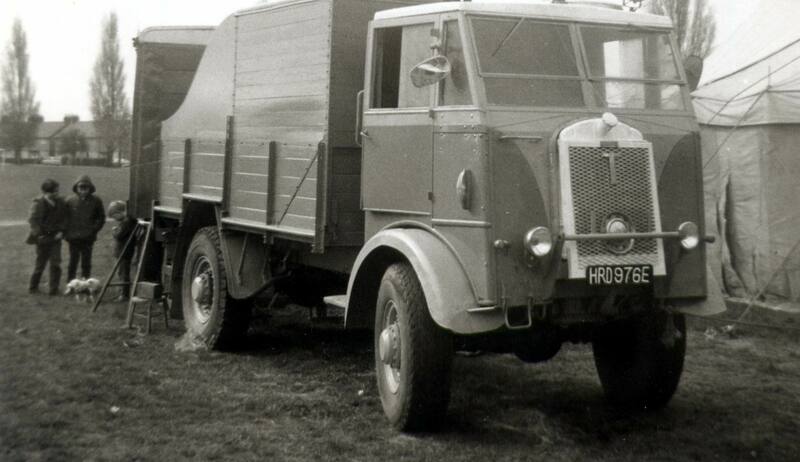 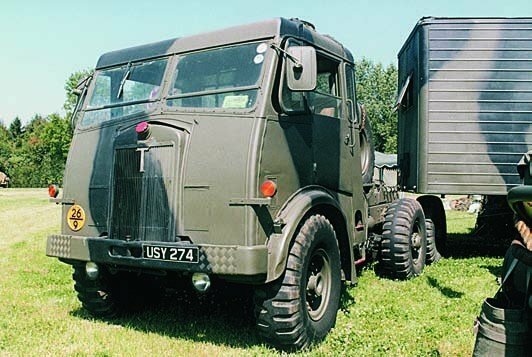 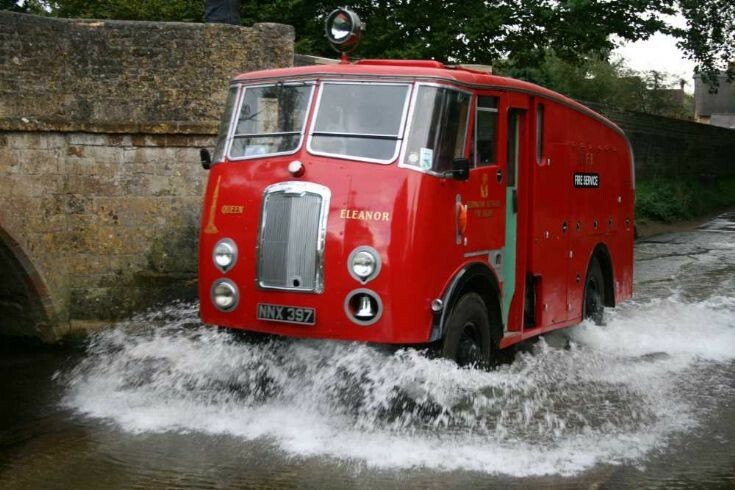 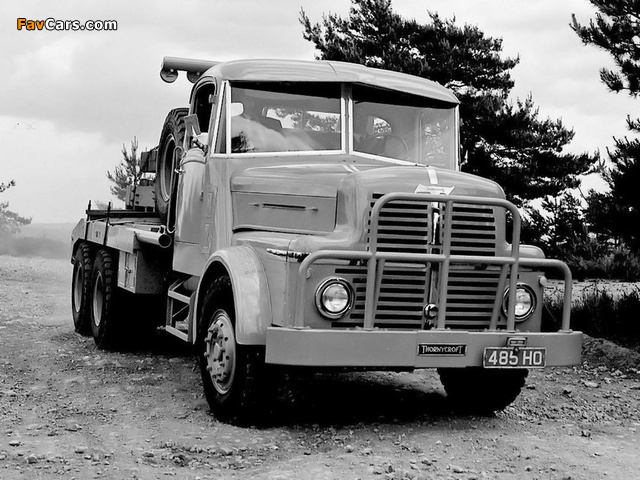 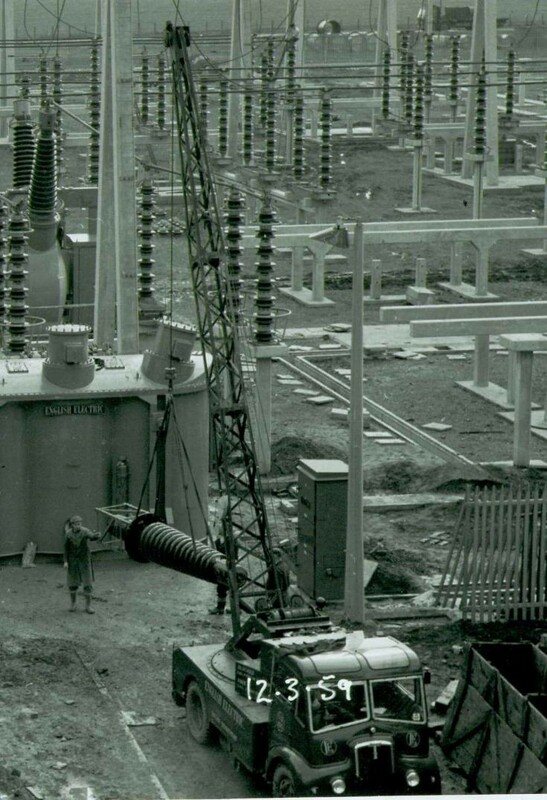 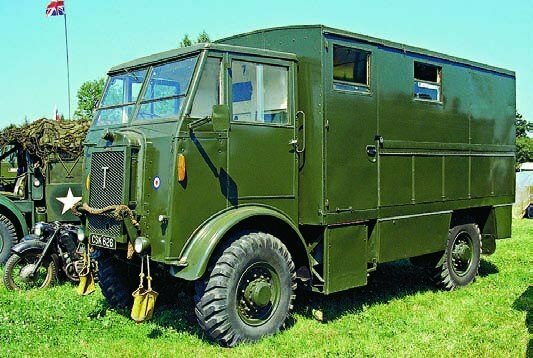 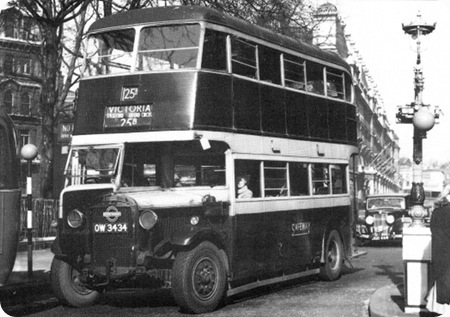 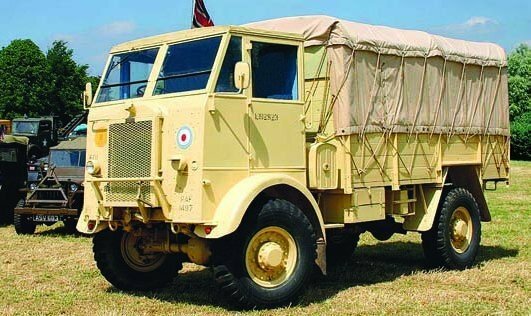 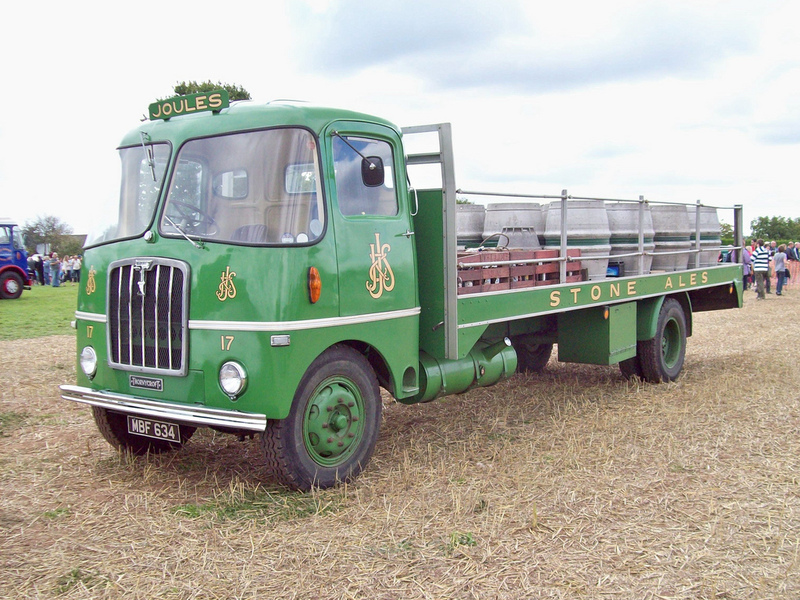 They were taken over in 1961 by AEC parent Associated Commercial Vehicles Ltd, and production was limited to Nubians, Big Bens and Antars, although the Thornycroft-designed six-speed constant mesh gearbox was used in AEC and later medium weight Leyland and Albion trucks. 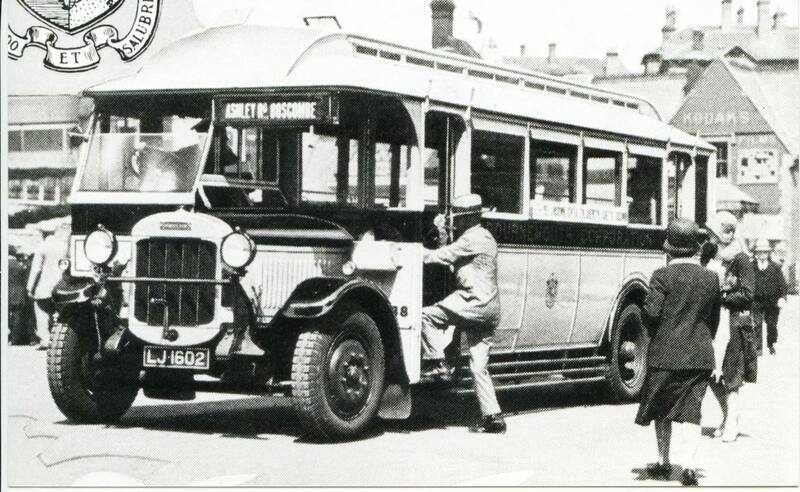 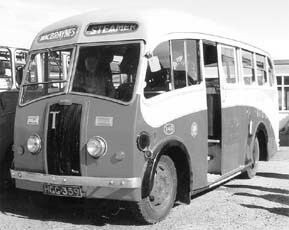 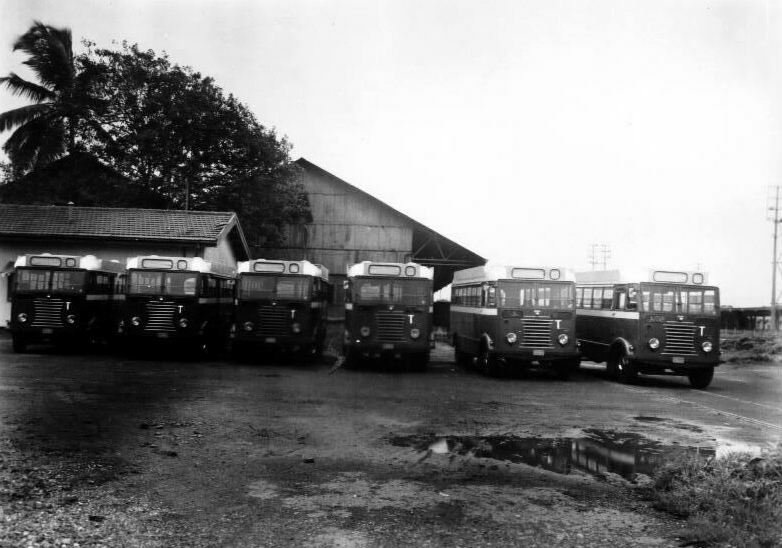 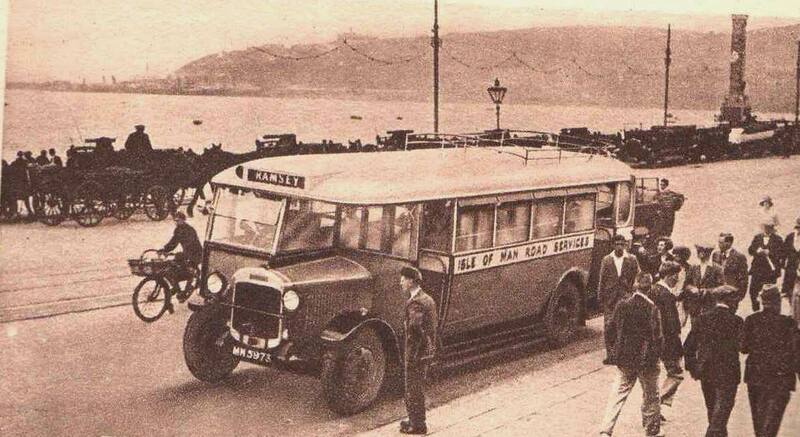 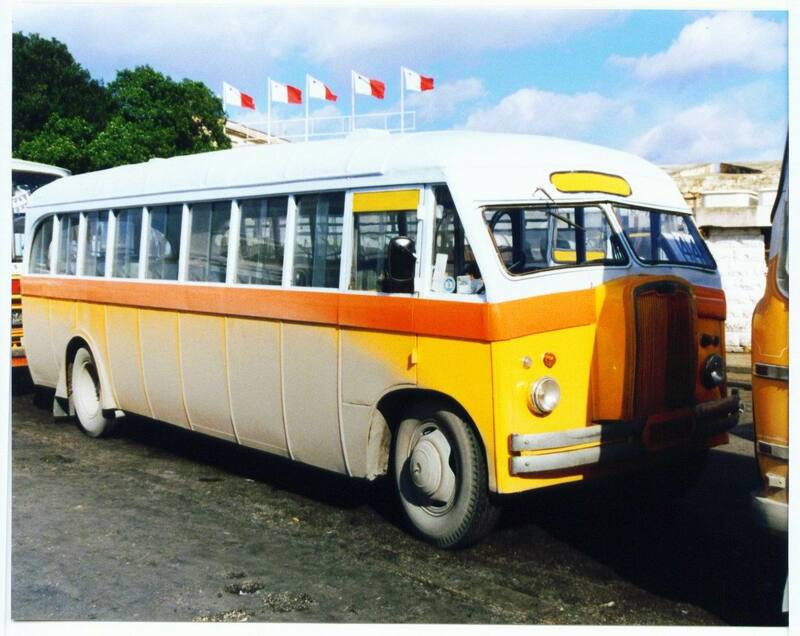 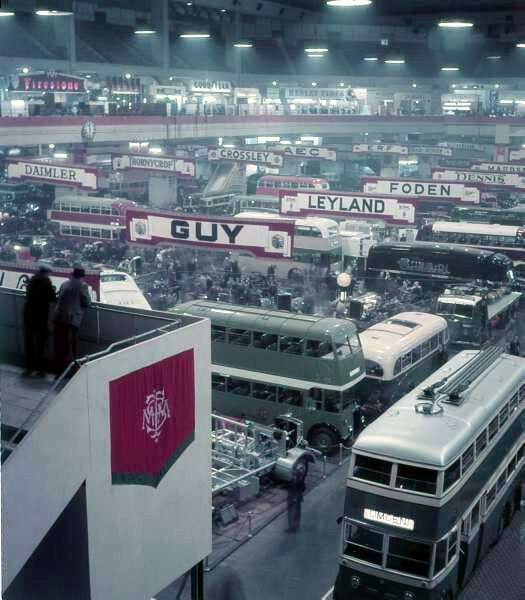 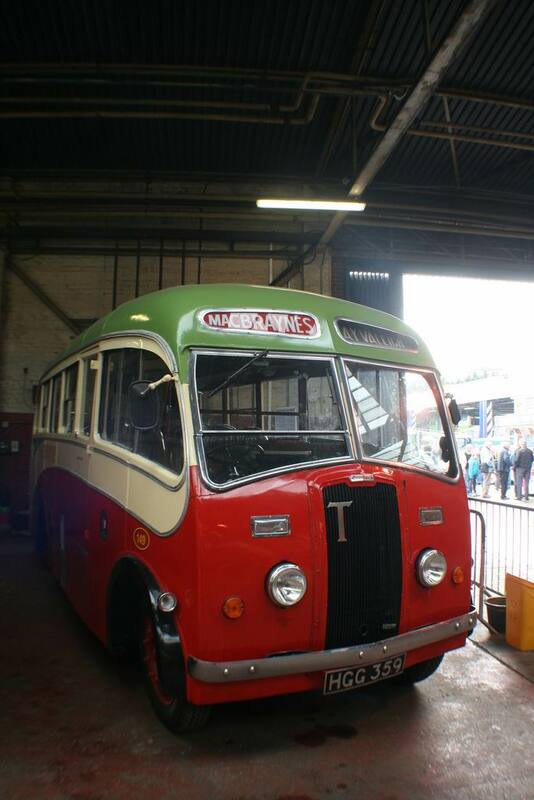 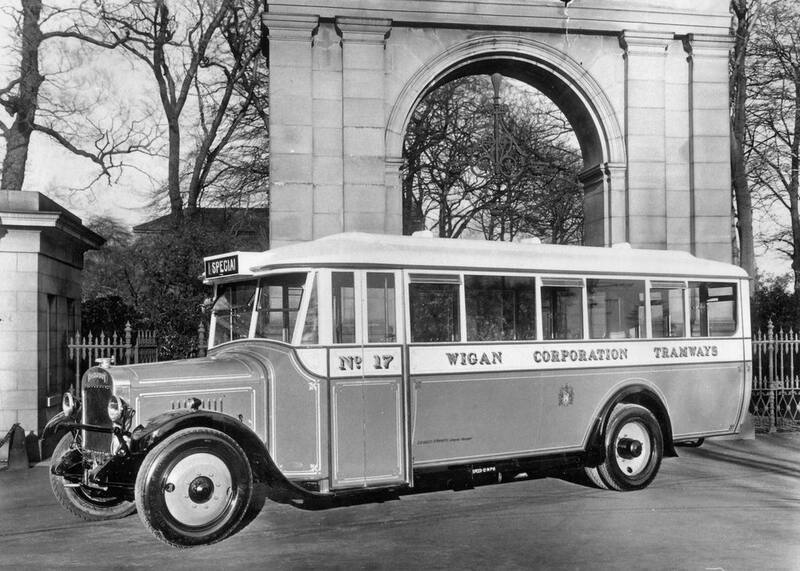 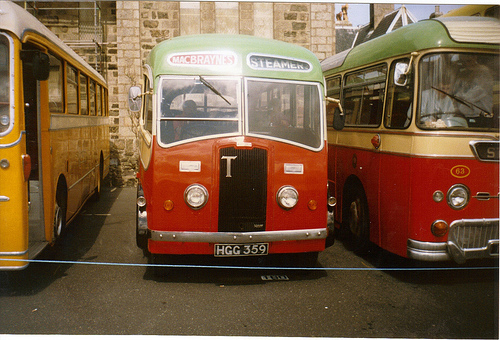 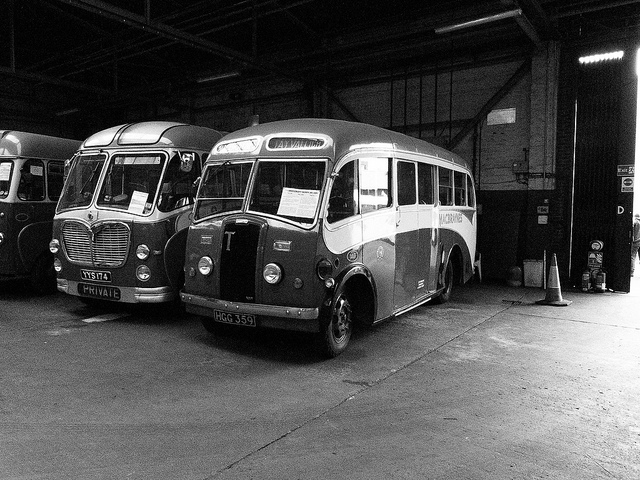 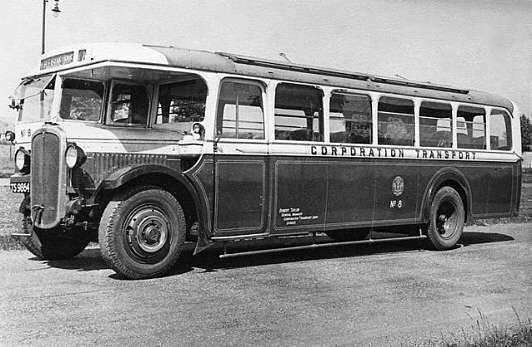 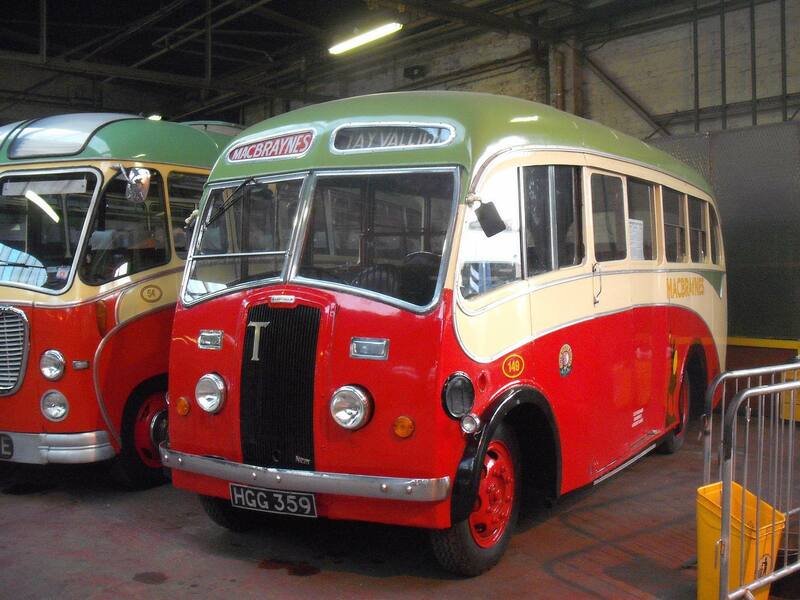 ACV was then taken over by Leyland in 1962. 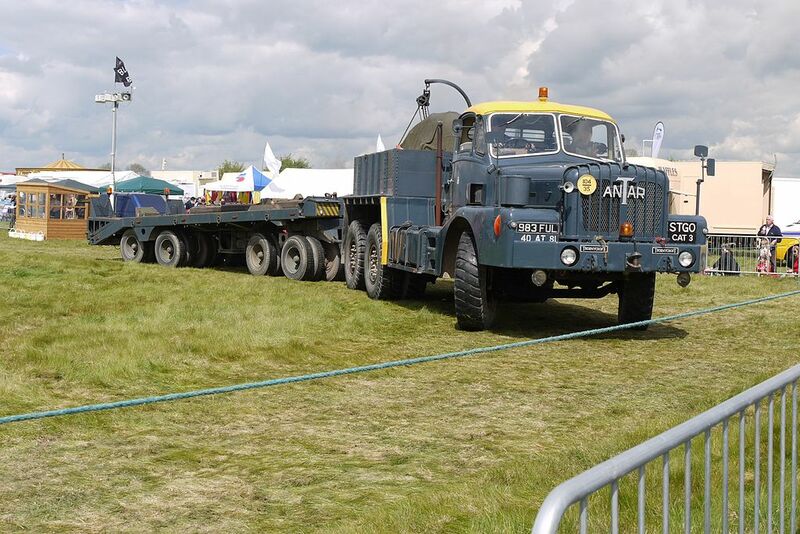 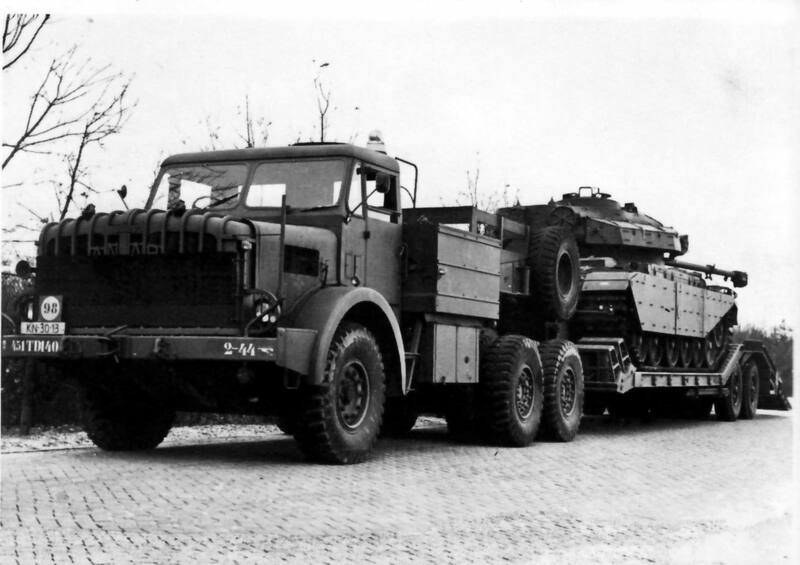 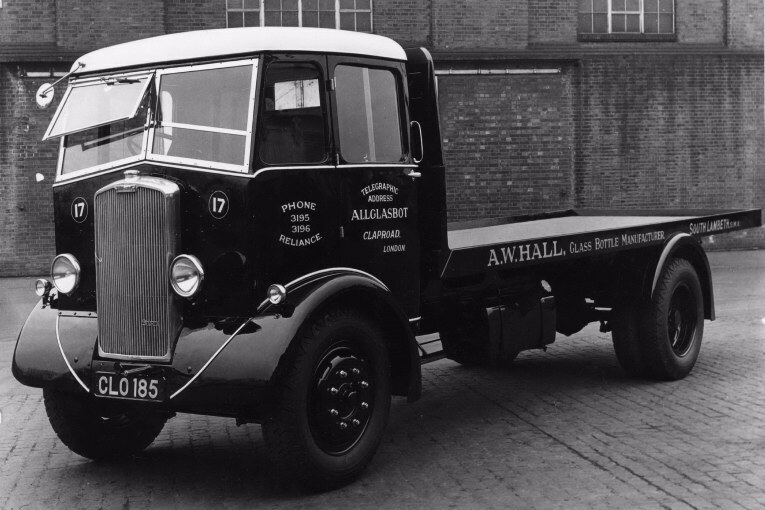 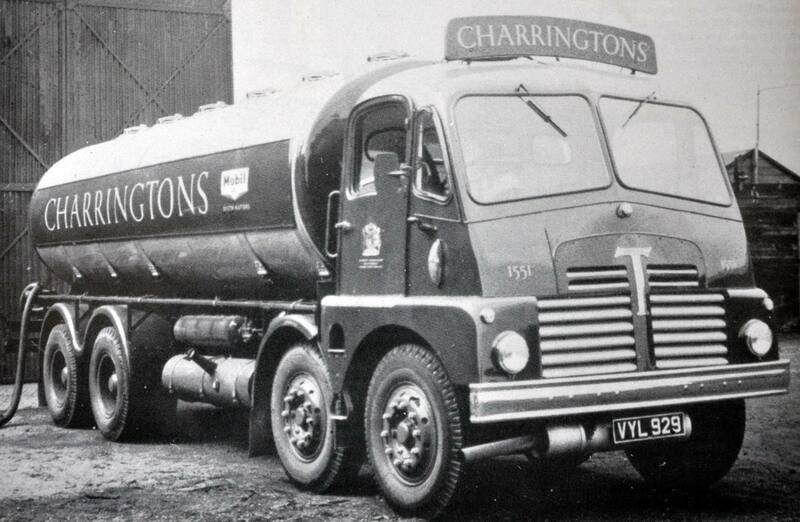 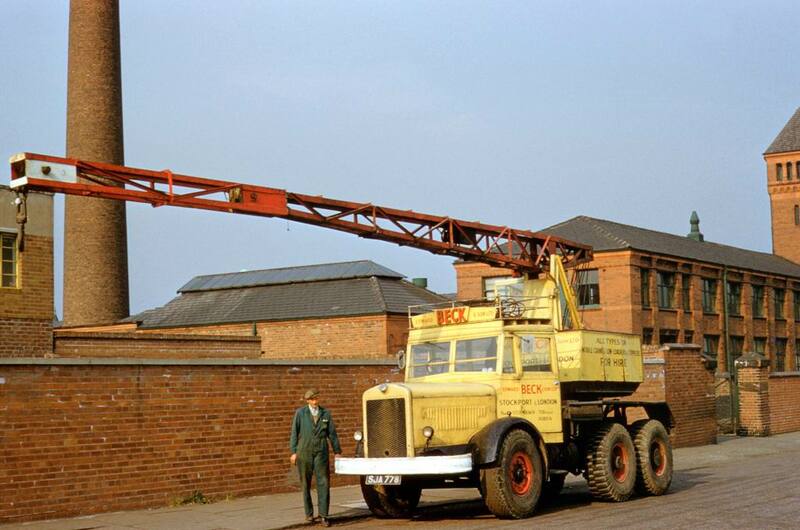 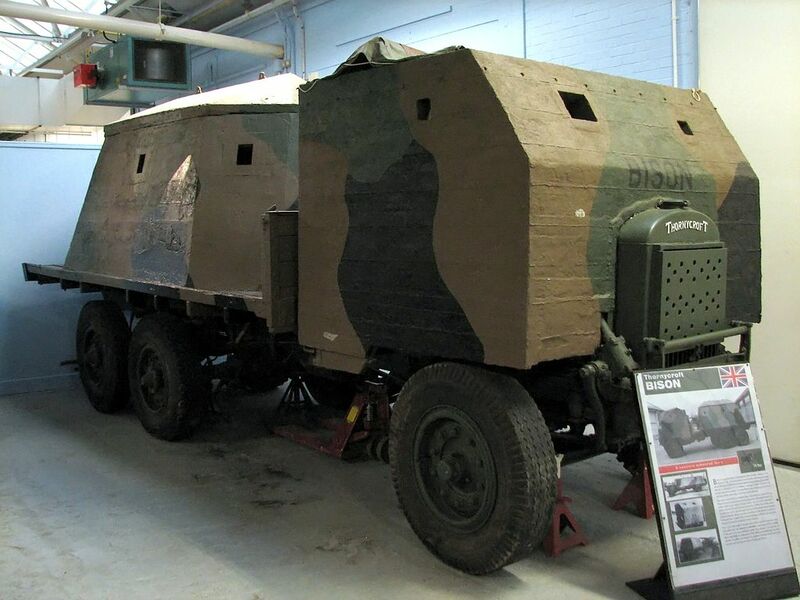 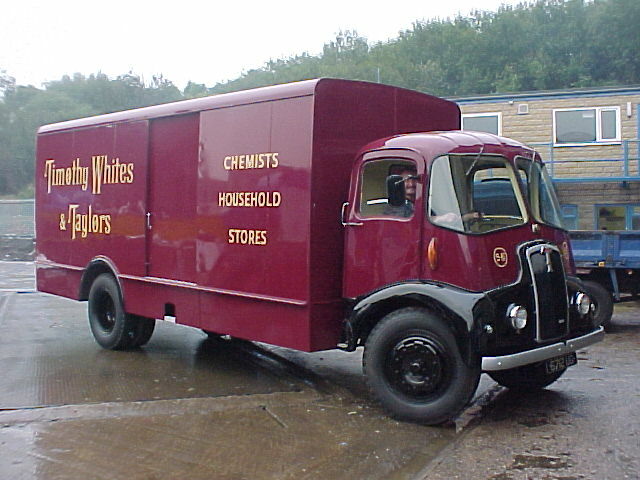 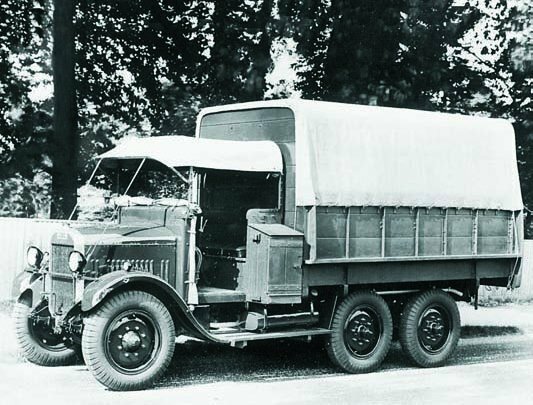 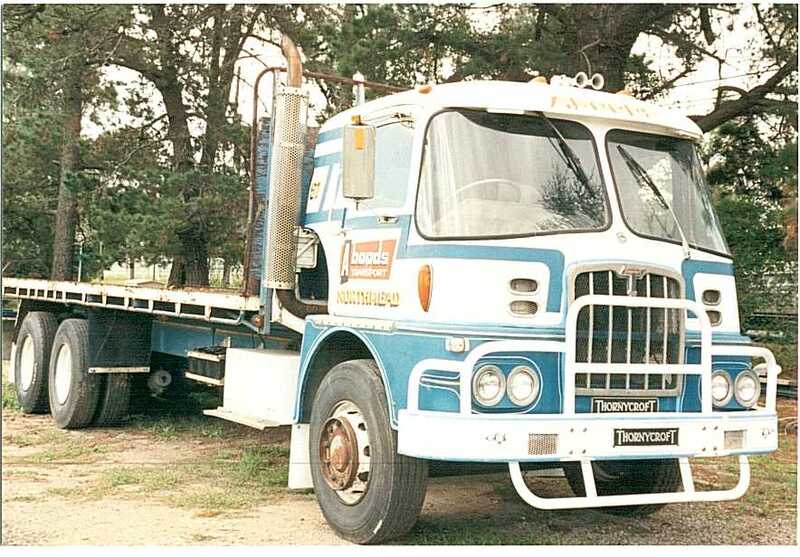 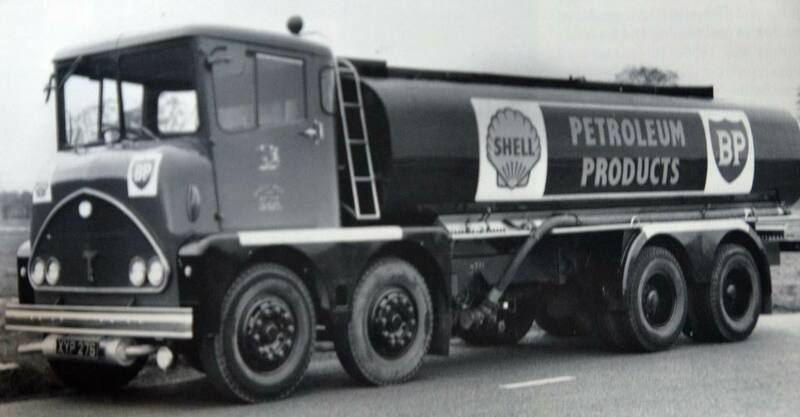 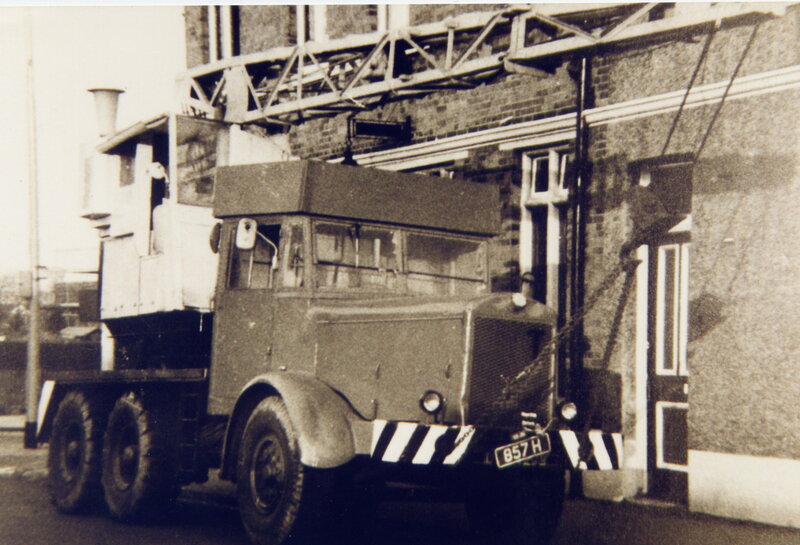 They already had a specialist vehicle unit in Scammell, another manufacturer of large haulage vehicles. 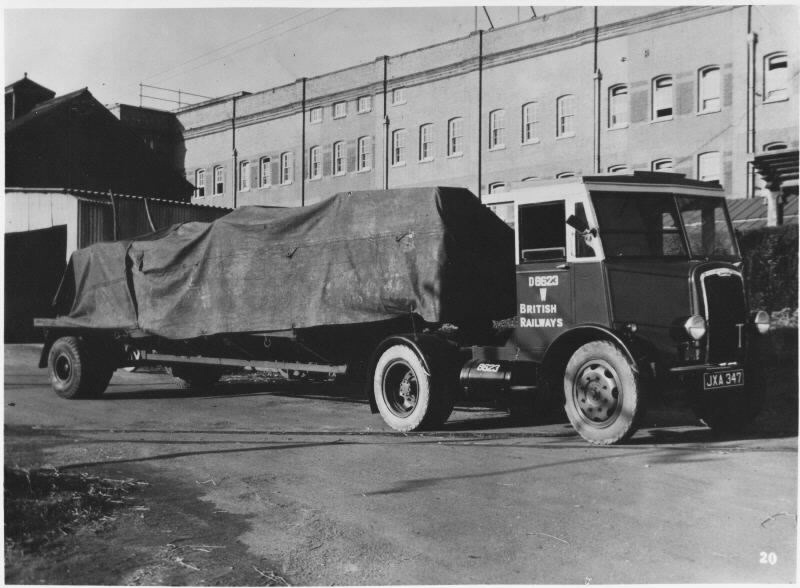 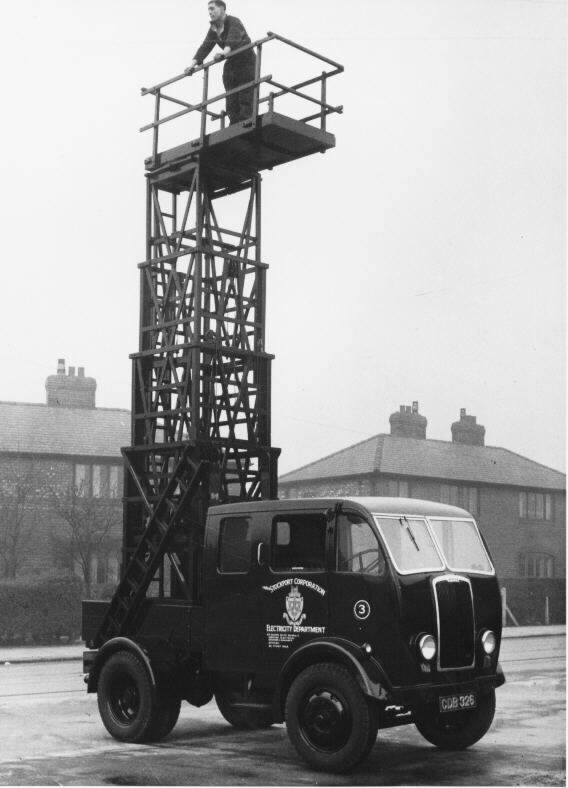 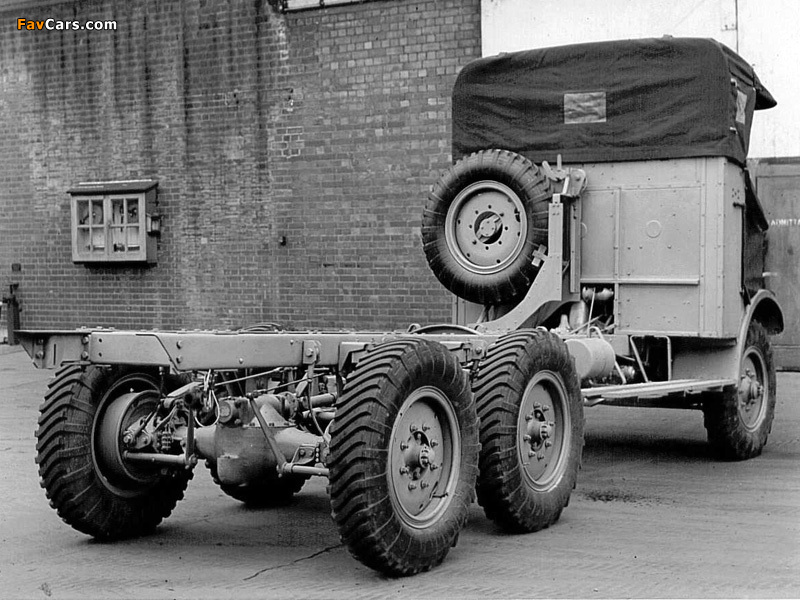 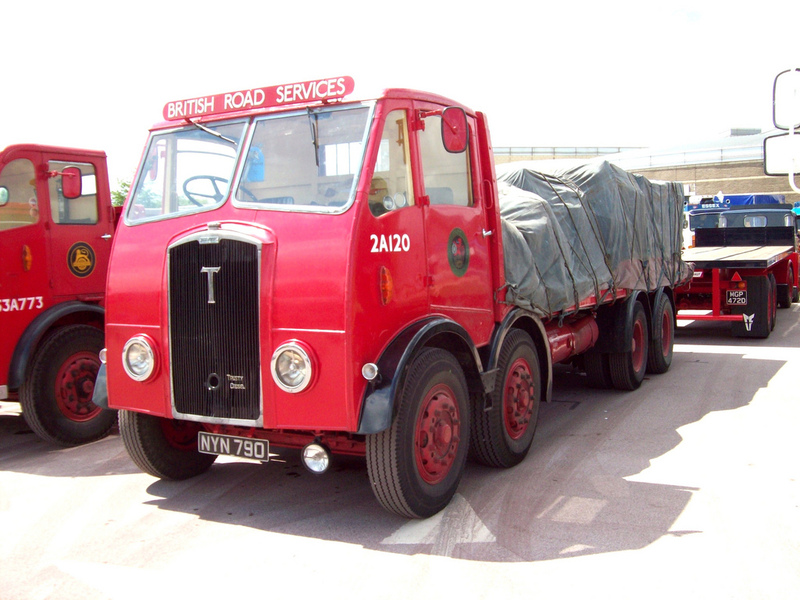 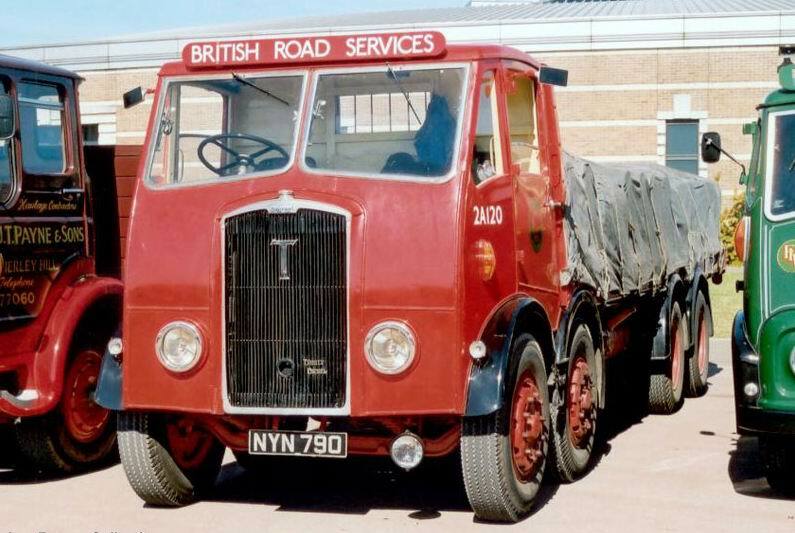 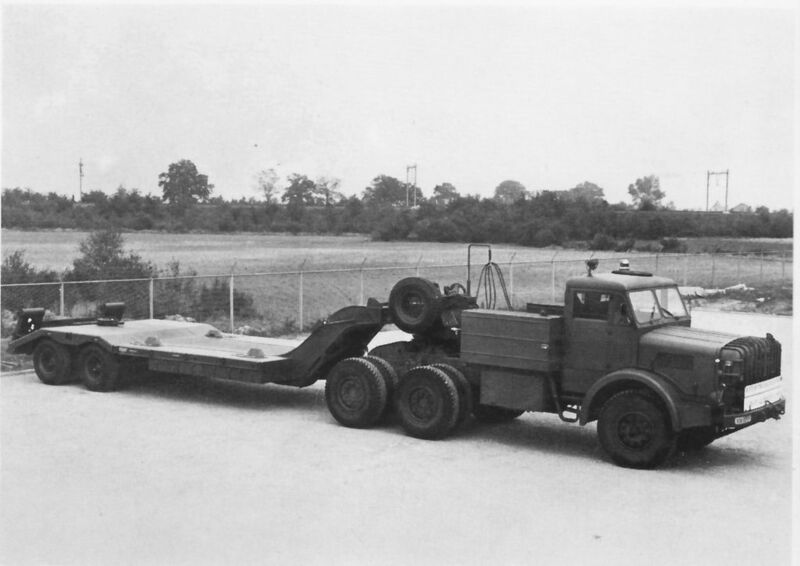 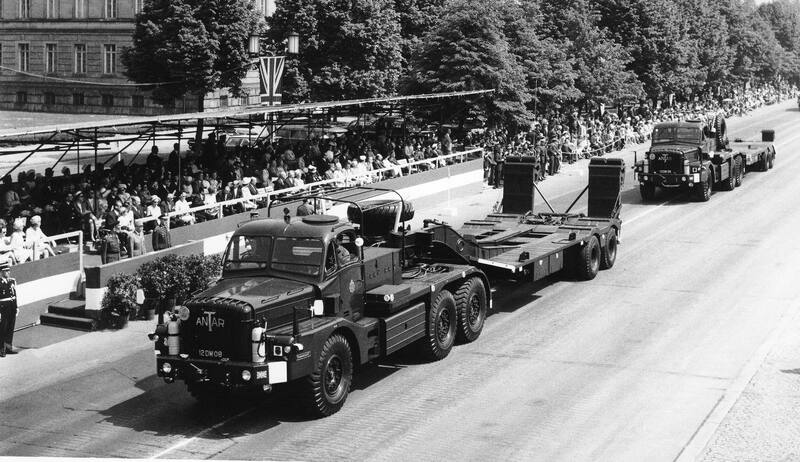 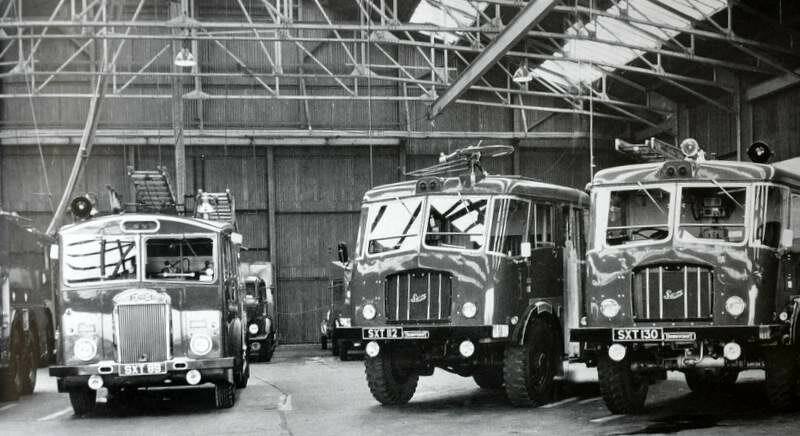 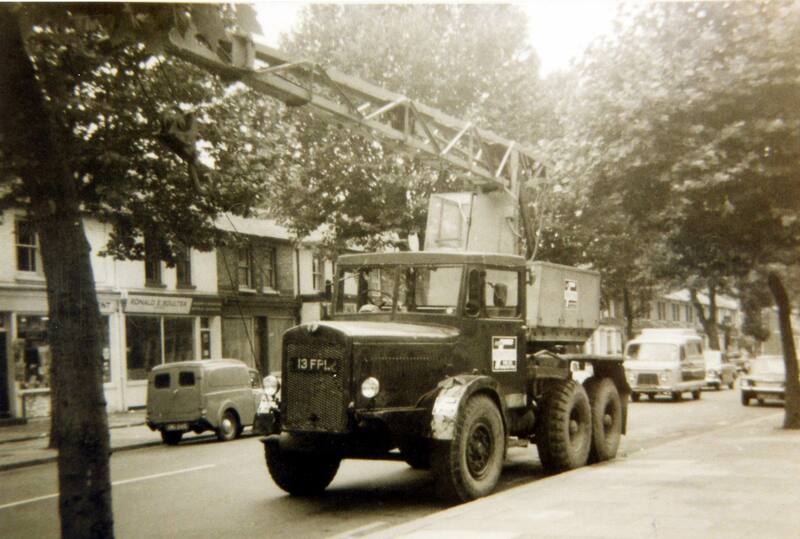 Thornycroft’s Basingstoke factory was closed in 1969 and specialist vehicles transferred to Scammell at Watford. 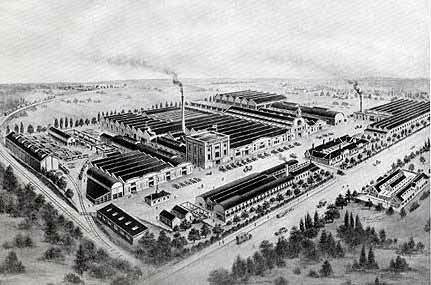 The factory continued as an engineering works until the late 1980s when it was demolished to make way for a supermarket. 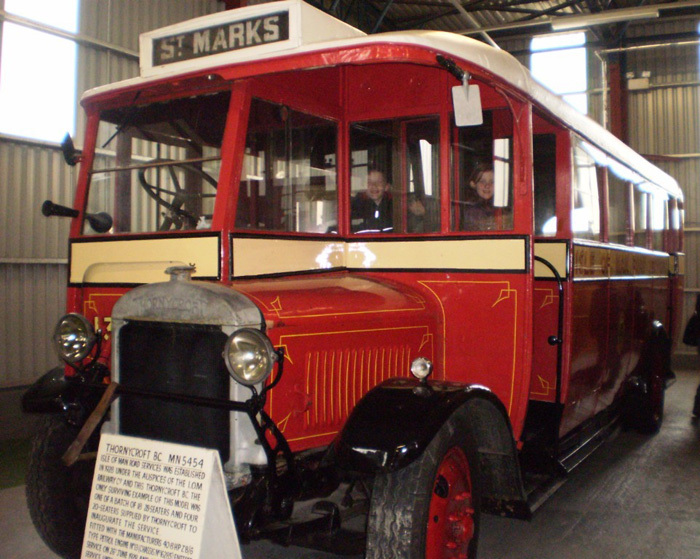 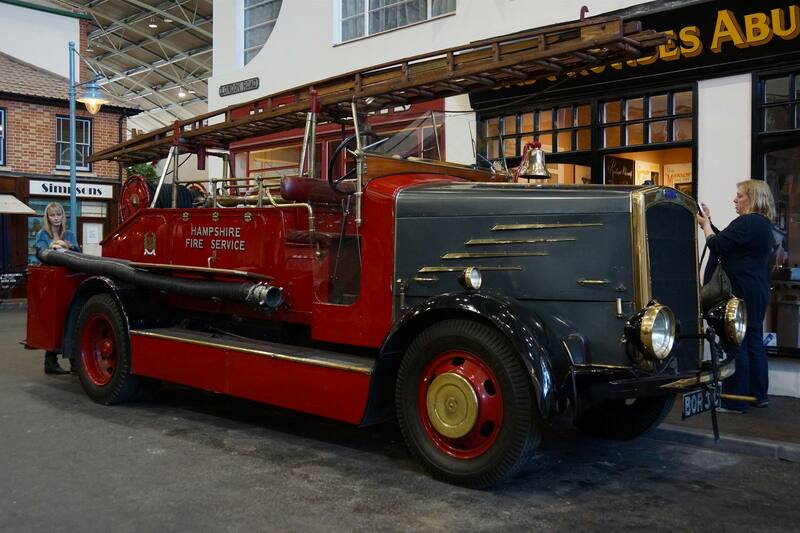 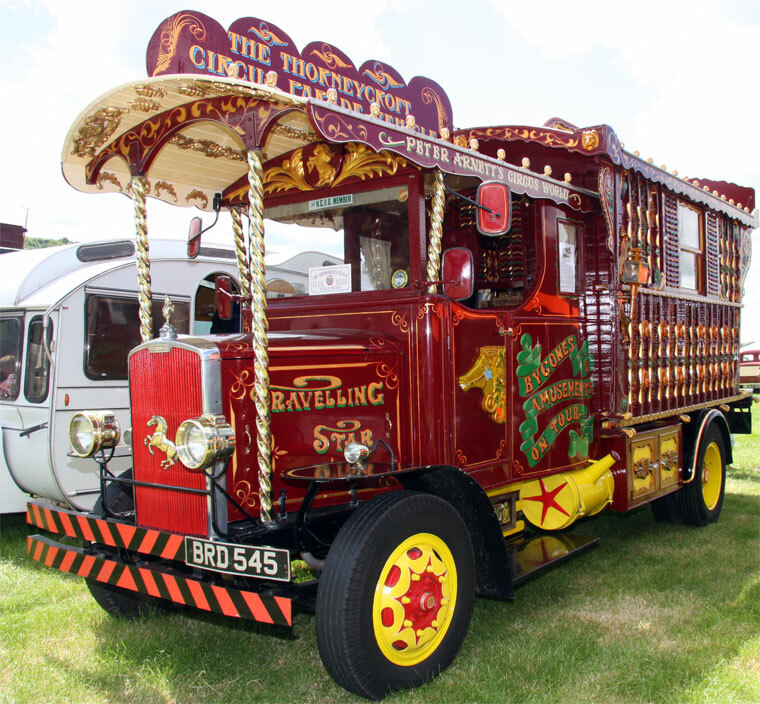 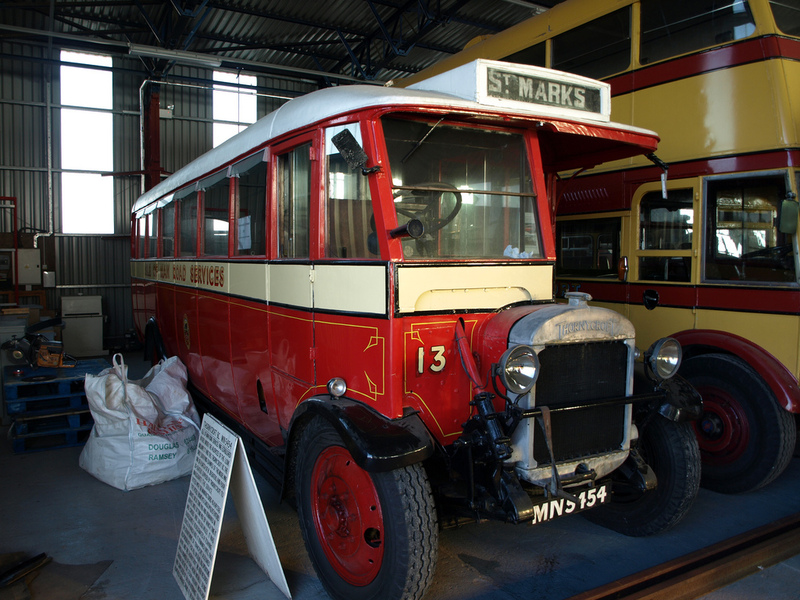 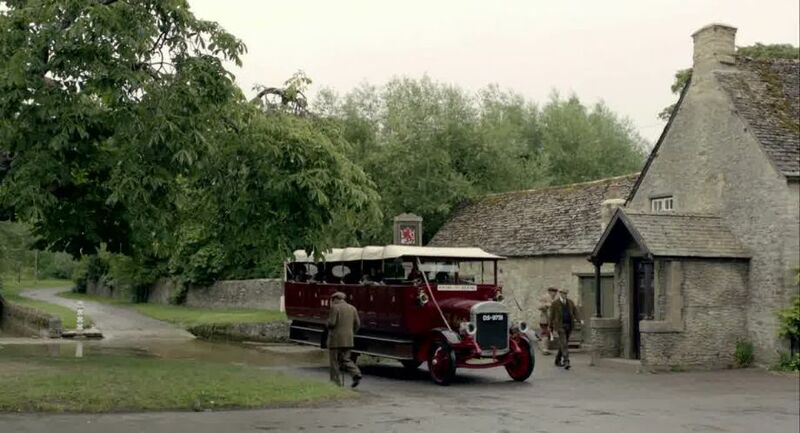 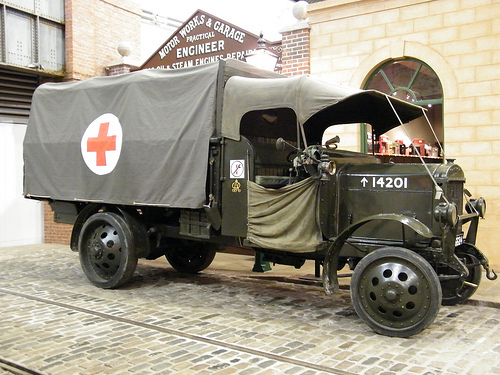 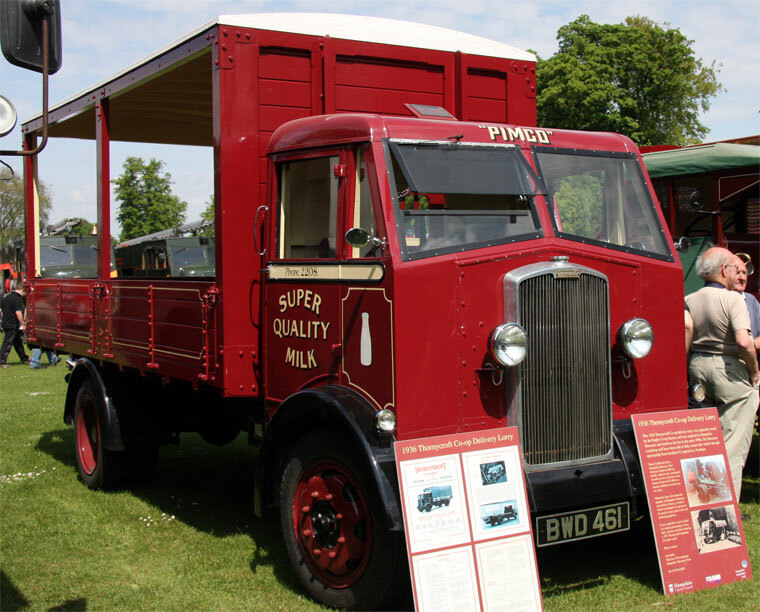 The Milestones Museum is located a few hundred yards from the original site in Basingstoke and houses a collection of Thornycroft vehicles and other exhibits, mainly transport related. 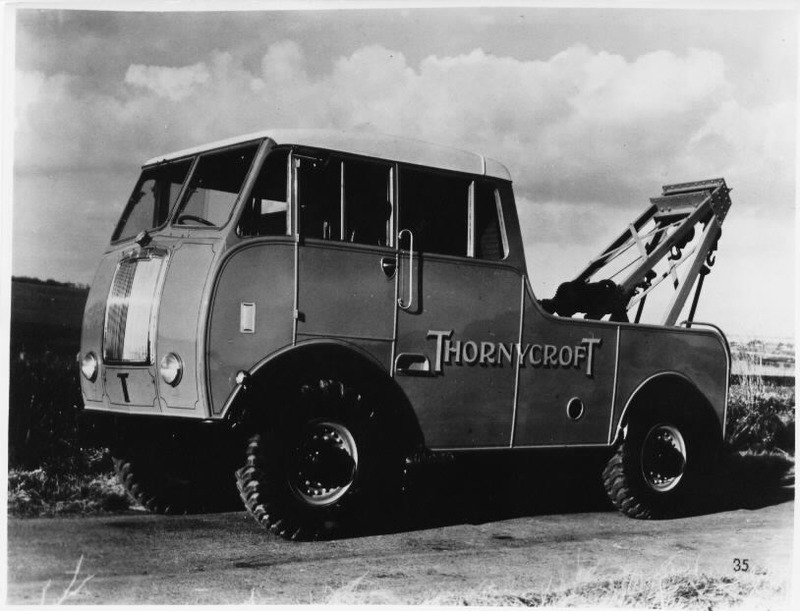 Today, the Thornycroft name is used by a builder of marine diesel engines for private and light commercial use, the engines being based around small-capacity engines designed by Mitsubishi. 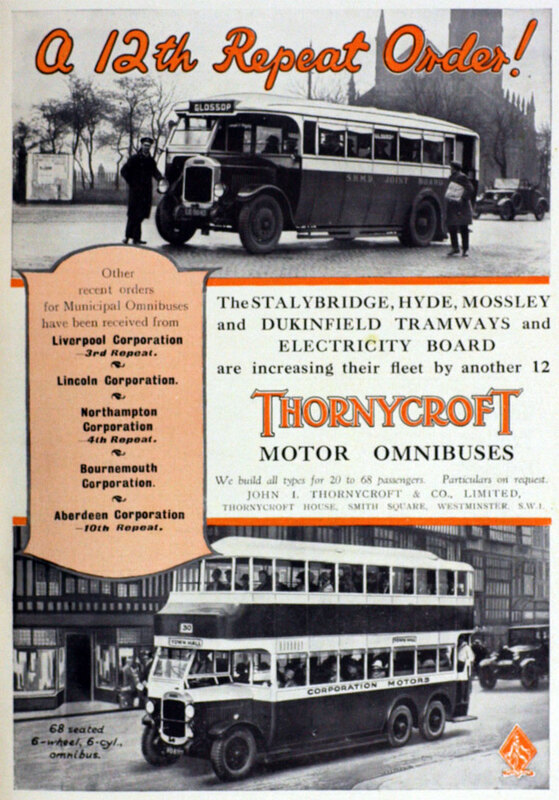 Despite Thornycroft being effectively closed down by Leyland, the operation’s parent company is now the main provider of spare parts for Leyland-built marine diesels, which for many years were highly popular for use in canal barges and narrowboats (now a market making increasing use of modern-day Thornycroft engines). 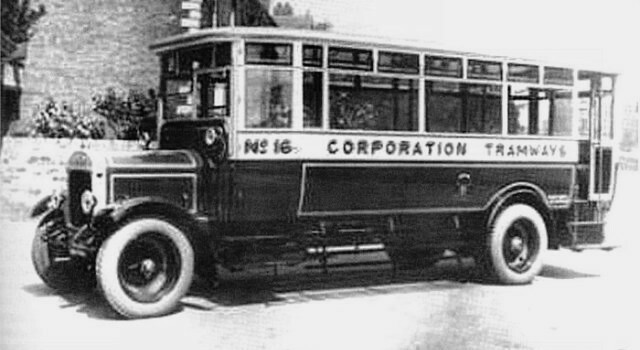 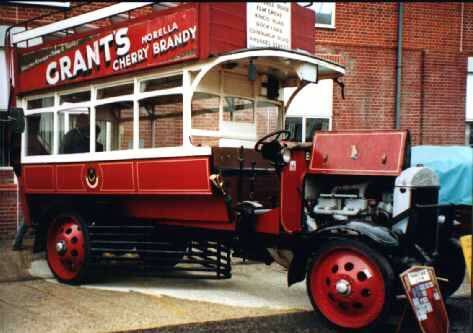 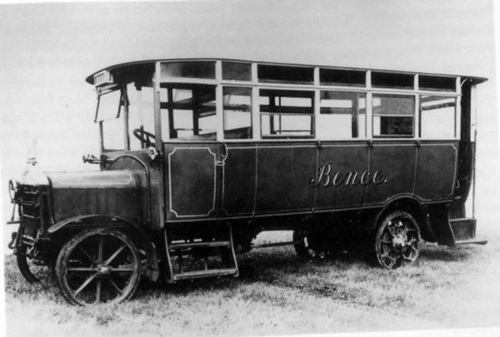 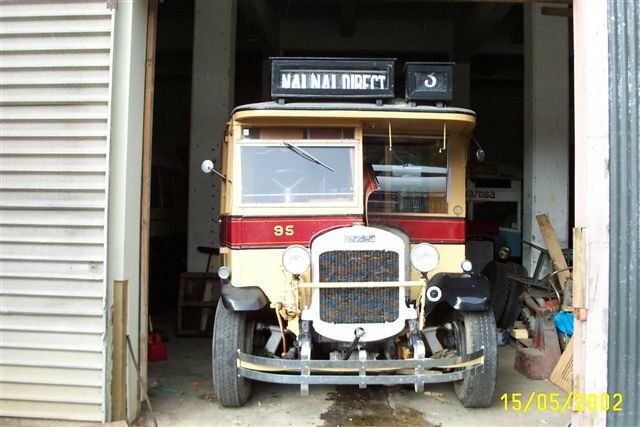 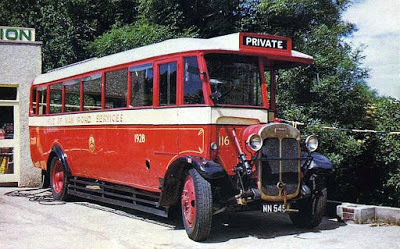 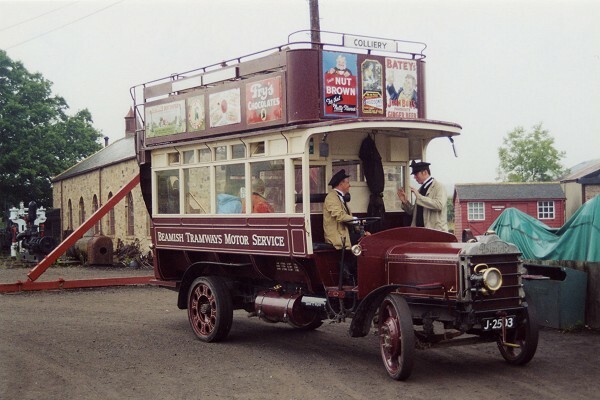 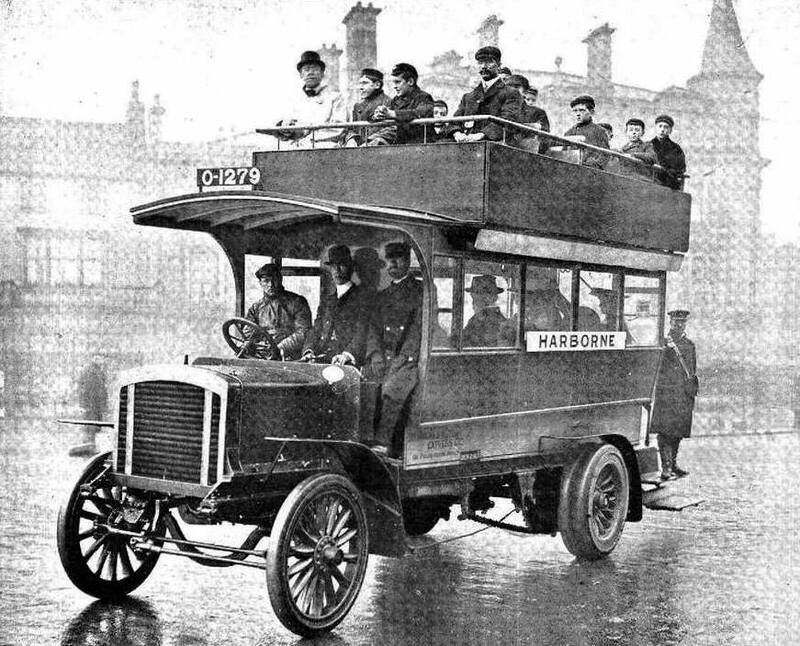 1919 THORNYCROFT BUS – BEAMISH TRAMWAYS Dodson Carr. 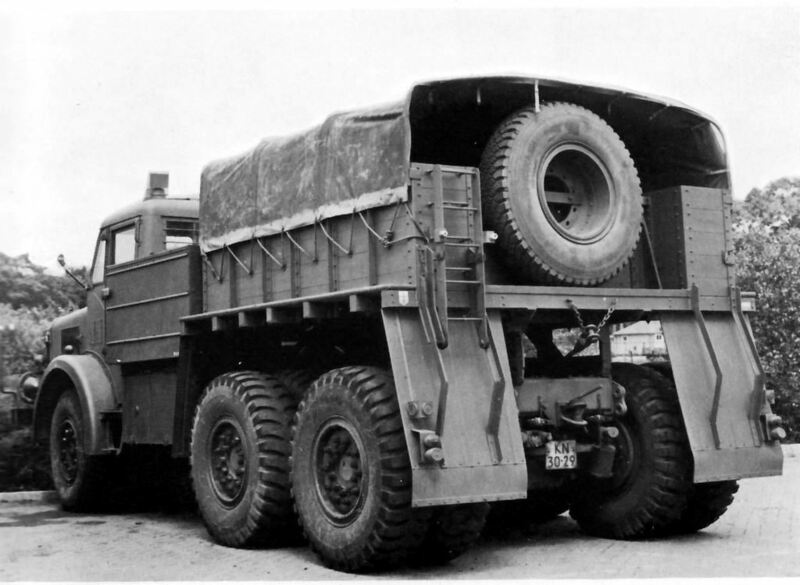 12 ton rigid six-wheel chassis. 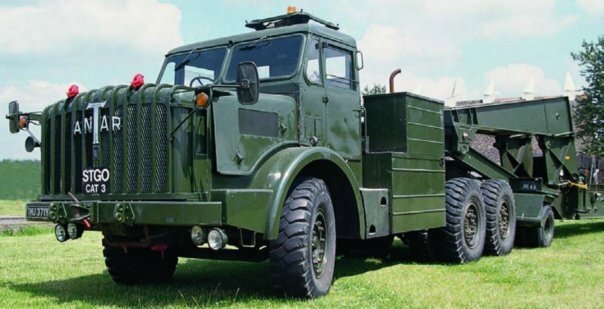 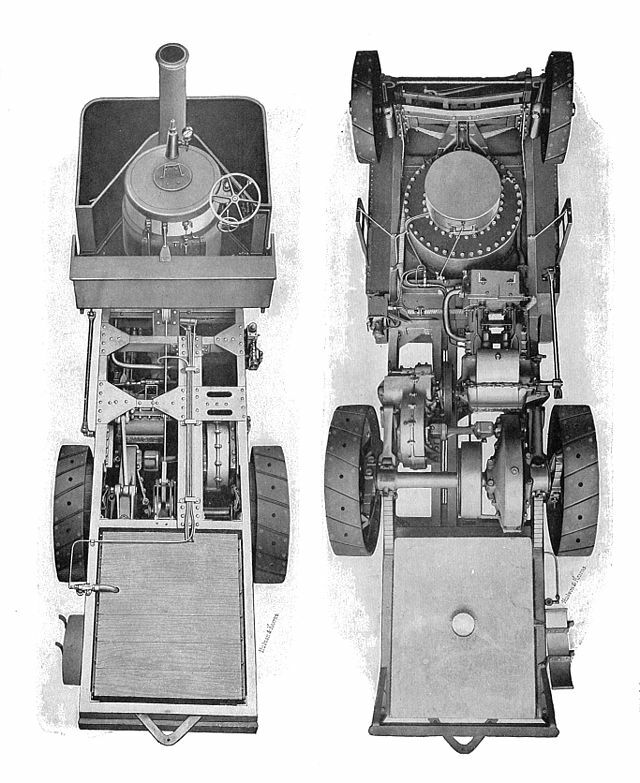 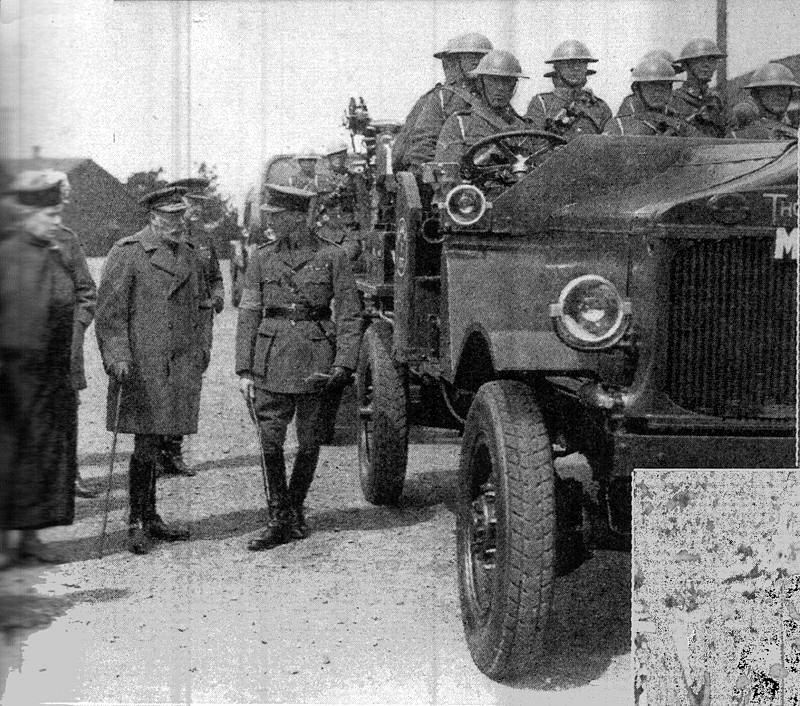 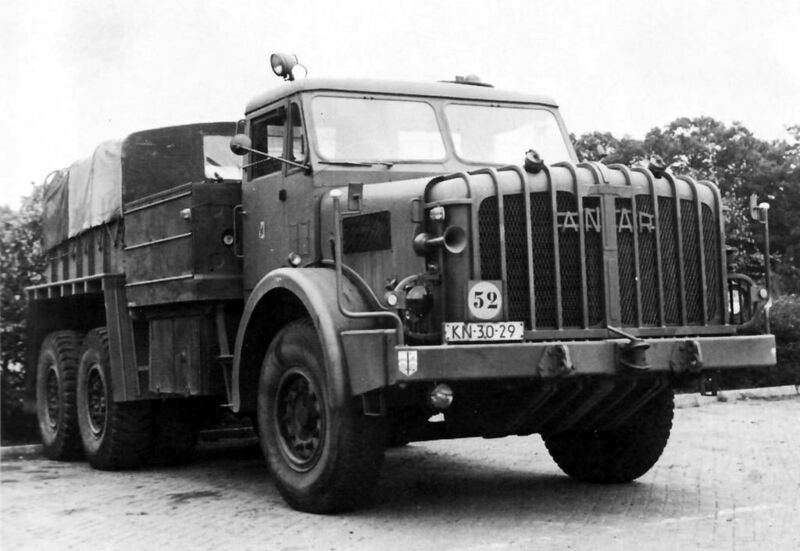 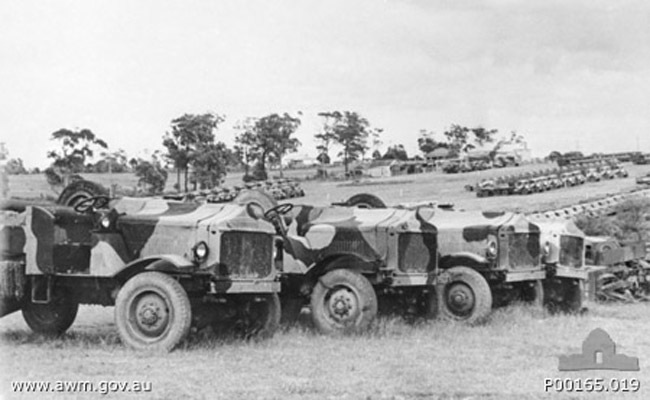 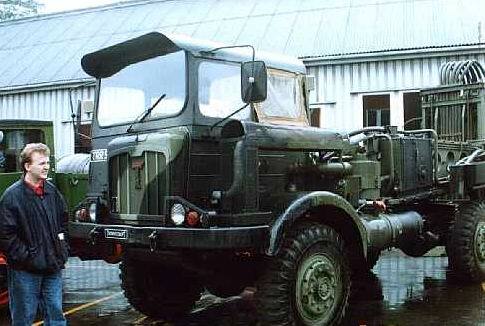 Tartar 3-ton 6×4, both civilian & military versions and production (3,000 – 4,000) between 1938 and 1945. 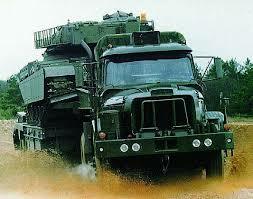 Jump up^ “Type A1 RSW”. 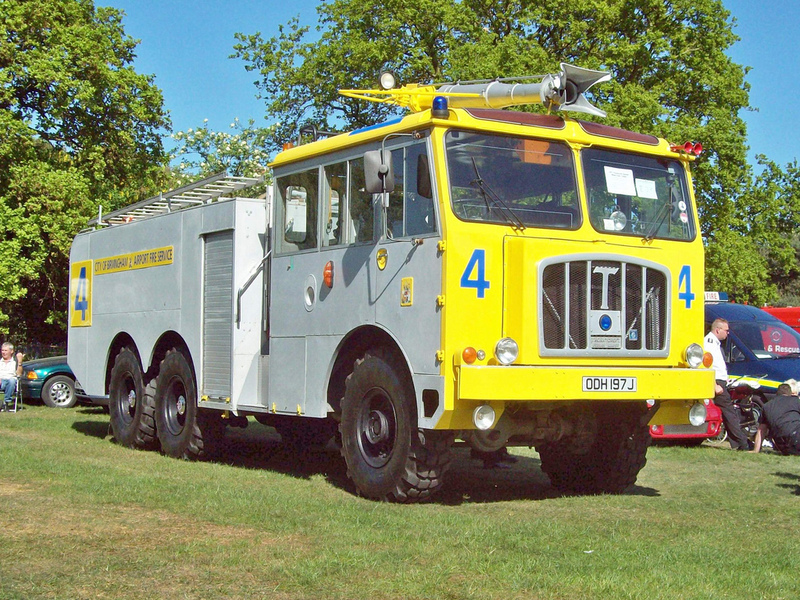 Hants gov, Thornycroft. 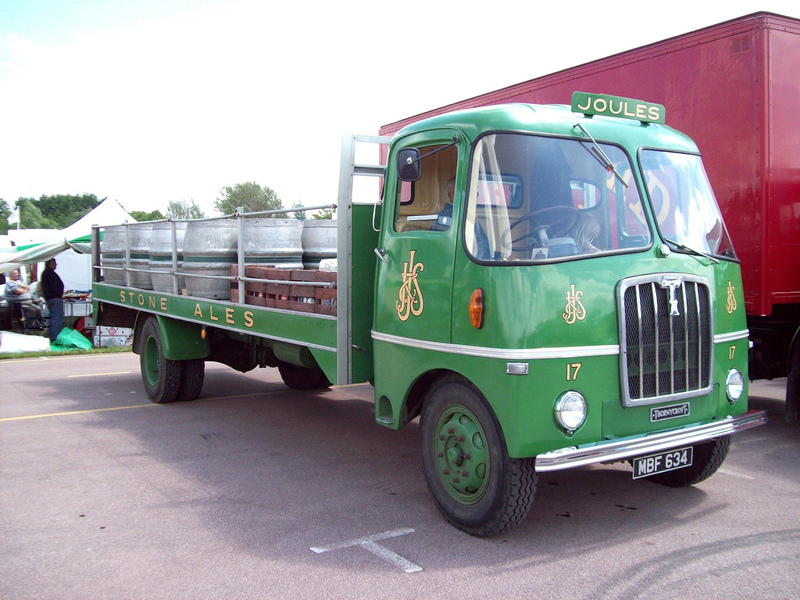 Jump up^ “Type QC lorry”. 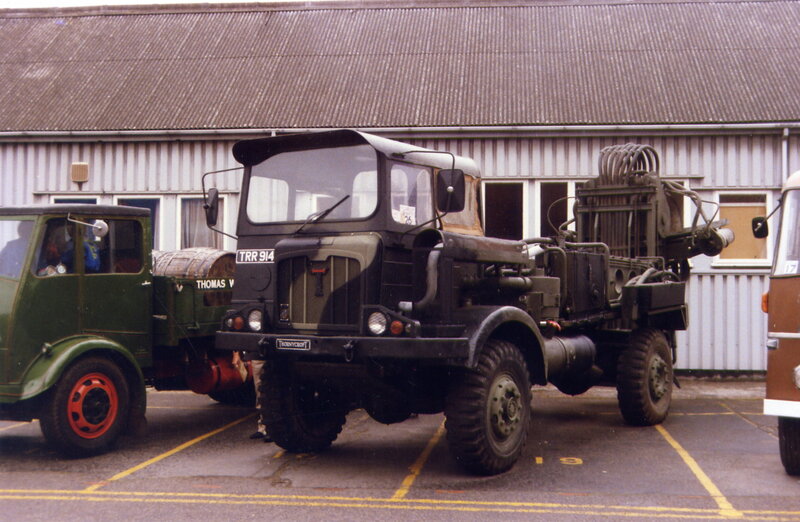 Hants gov, Thornycroft. 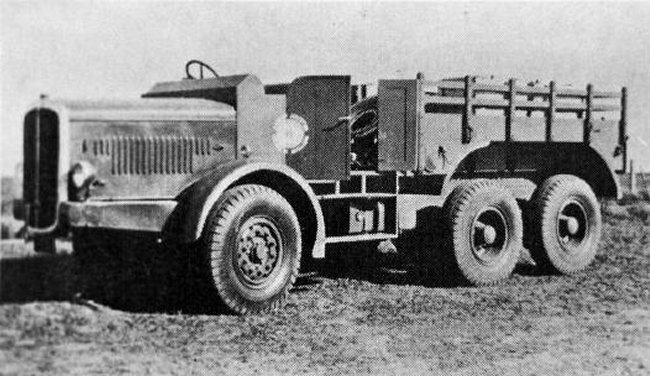 The 1930 Central Australian Gold Exploration Company (C.A.G.E.) 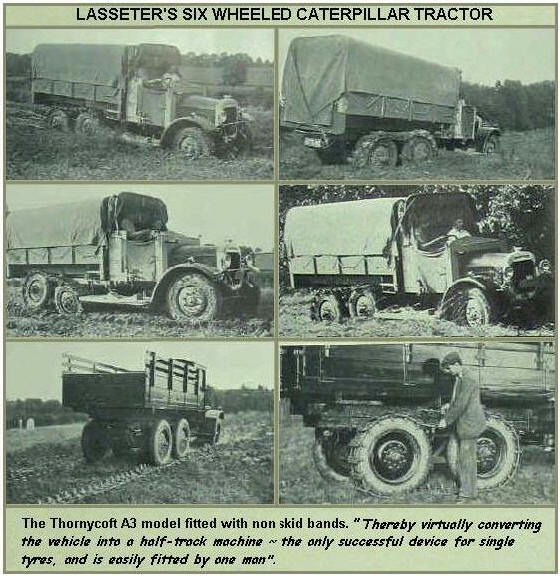 expedition, sometimes called the Lasseter expedition, used a Thornycroft A3 but it was not a “six wheeled Caterpillar Tractor”. 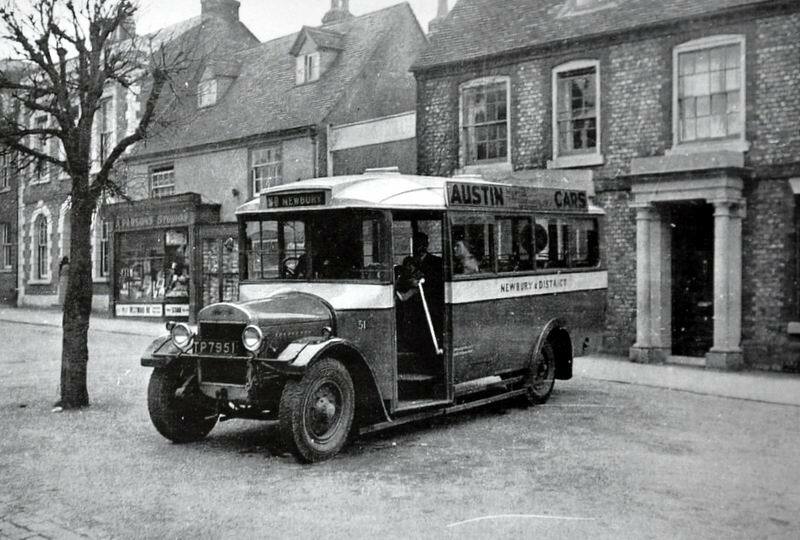 I lived in Basingstoke and went to Queen Mary’s Grammar School. 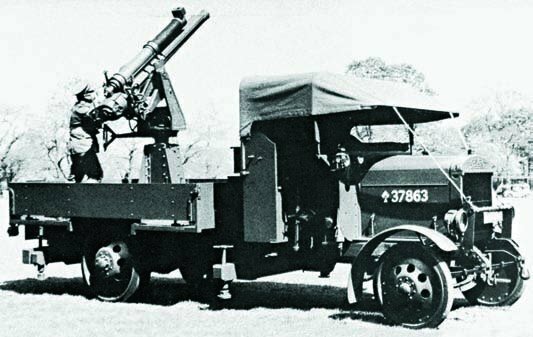 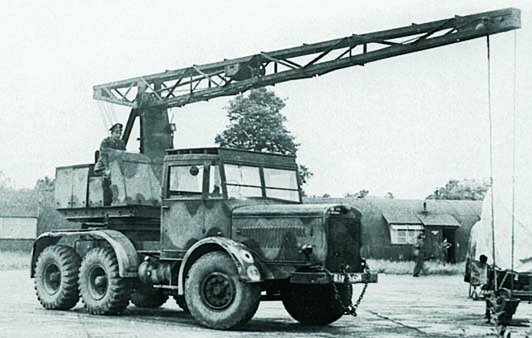 In 1939 a lorry-mounted WW1 anti=aircraft gun was parked behind the works in the area used for testing Bren gun carriers. 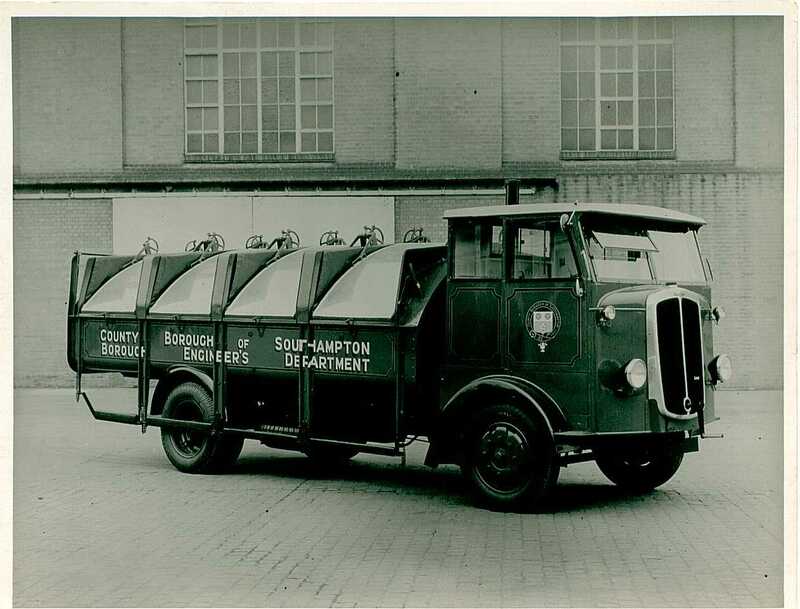 In 1943 ambulance an train loaded with about 4oo patients reversed into Basingstoke’s Southern Railway goods yard at 01.30. 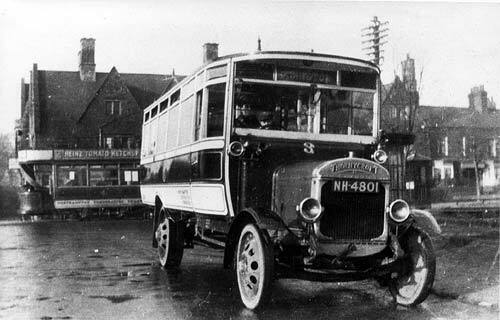 I was one of eight or nine 14 year-old St John ambulance cadets ordered out by the police to help unload the train, put the patients into ‘ambulances’ and , 1 boy at a time, accompany the men on the approx 2 1/2 mile run to Park Prewett EMS. 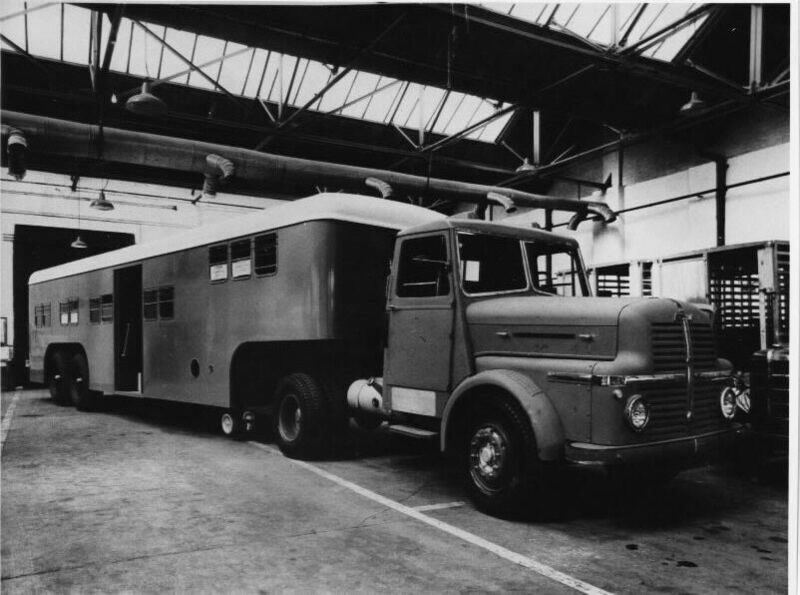 Before the train came in we had to blanket and stack the 8 to twelve stretchers eacn vehicle could load, As soon as the reversing train stopped the Yard lights came on – vehicles moved to an open door and stretchers were passed in the vehcles then drove to the far end and laden stretchers were passed out. 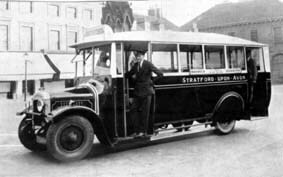 6 – 8 boys were needed to catch a stretcher, level with train floor, and lower him to carrying level to be loaded into a vehicle. 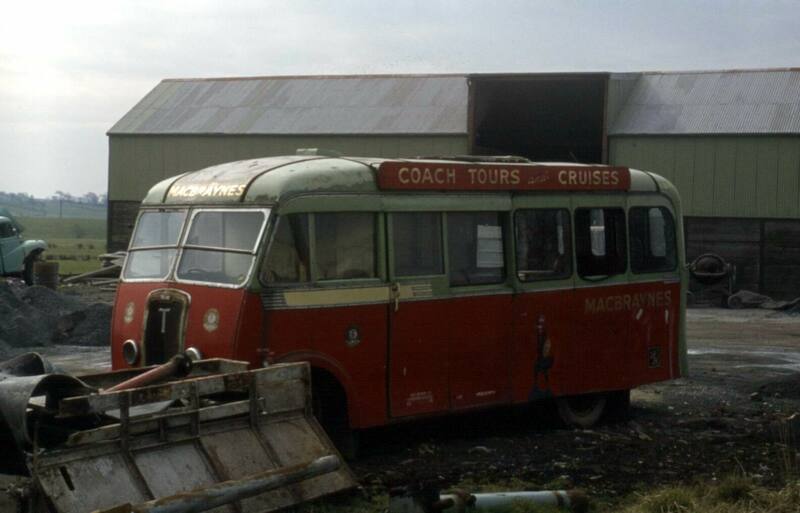 At least 3 of the converted (back cut out and dropped canvas sheet fitted, – stretcher rack at knee level each side instead of seats – 2nd rail at window level with hanging loops for outer handles to make numbers loaded possible. 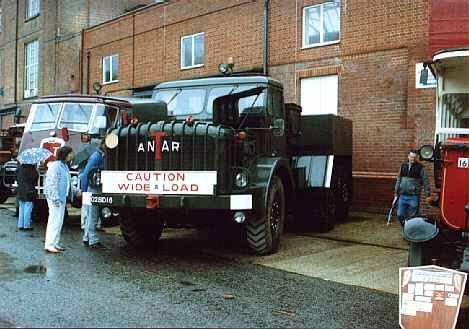 At least 3 of the regularly used vehicles we loaded over the next 3 years were Thorny’s. 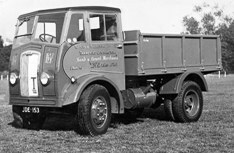 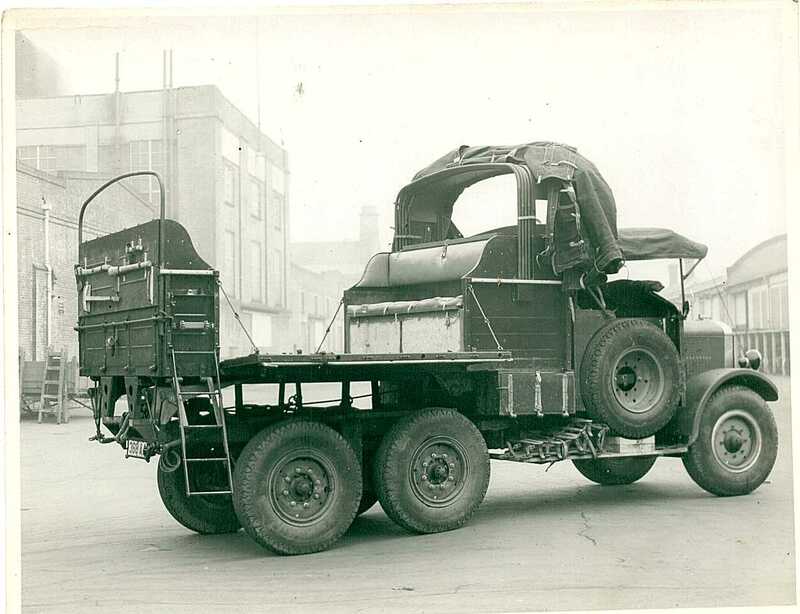 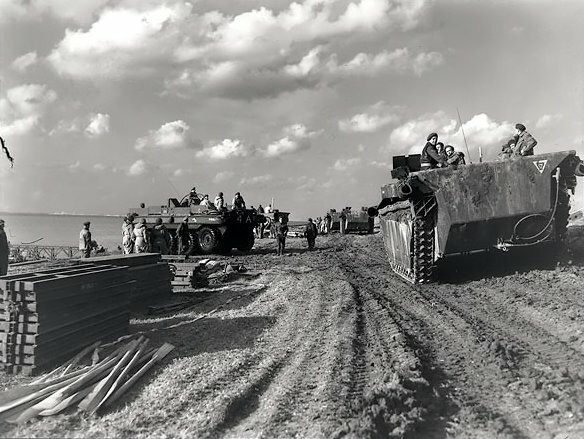 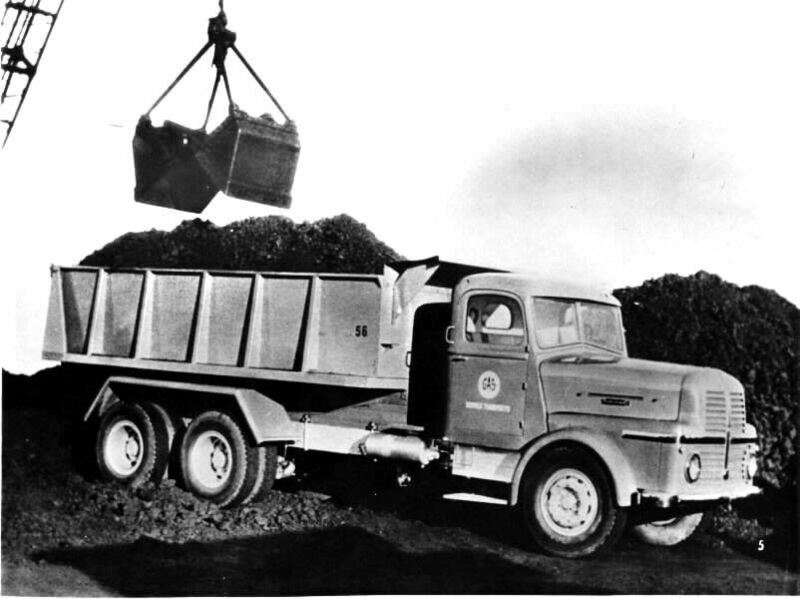 Unknown date – short wheelbase – full width cab loading eight. 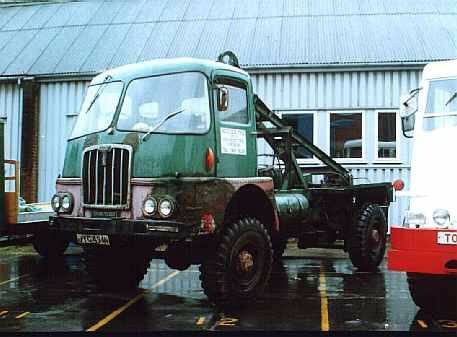 I am in contact with Dennis about their Strachan-bodied vehicles on the same task. 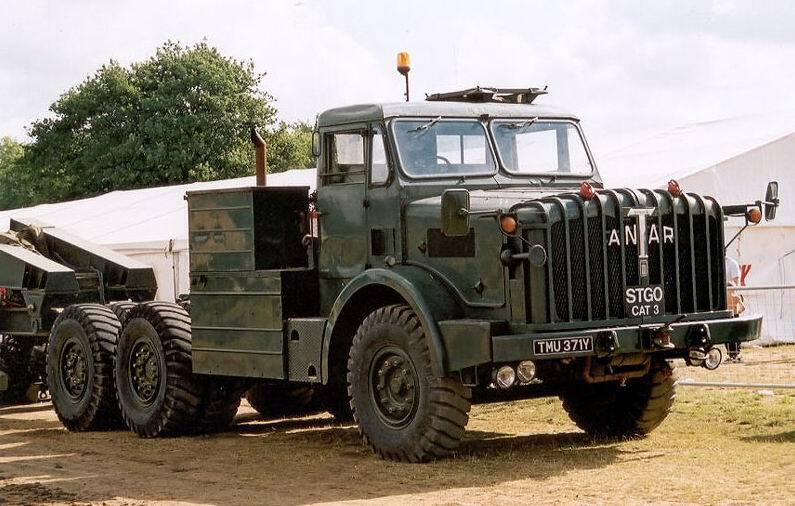 The son of the designer of the (I think 12 speed) gear boxes for the Mighty Antar – two tractors – one being pusher in the versions was a junior in Queen Mary’s. 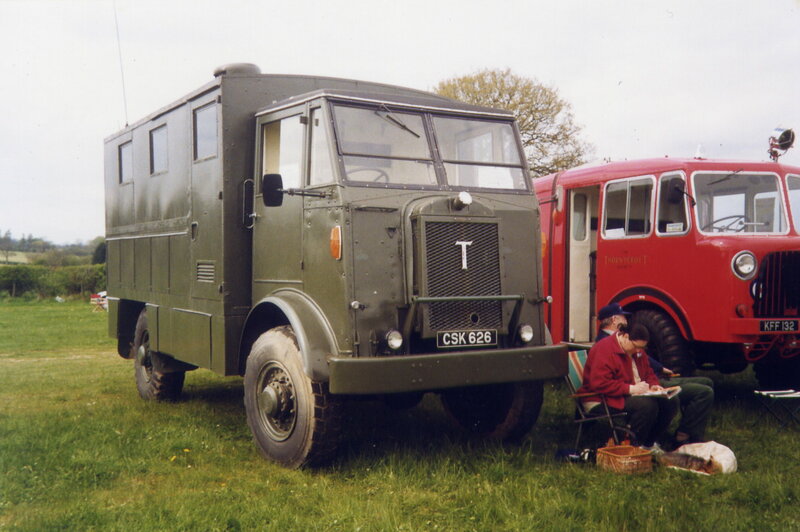 As a 6th former I met and chatted with his father. 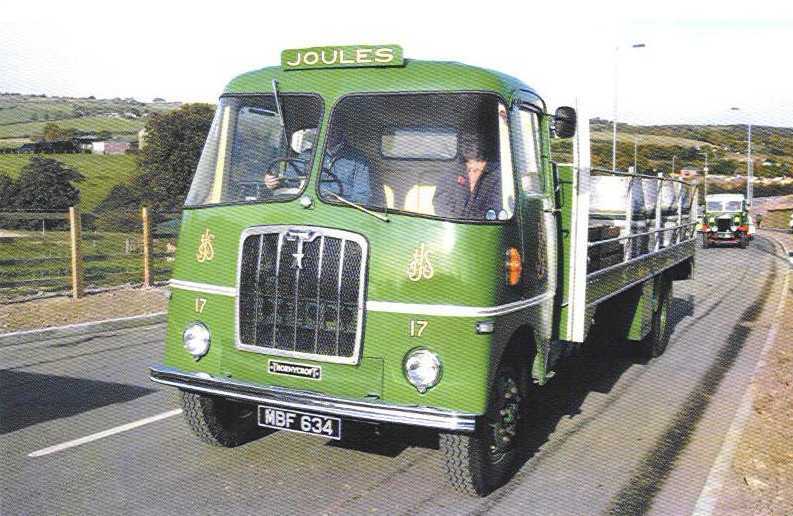 ‘Laddie’ Taplin was the firm’s test driver who drove their 8 wheeler under test load over the Horseshoe Pass. 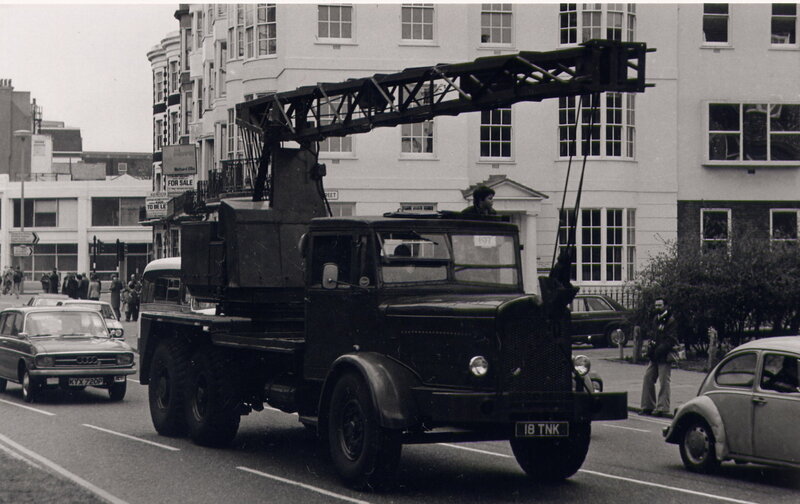 He and I drove those 2 down to Stokes Bay to provide FA cover for the Spithead review in 1953. 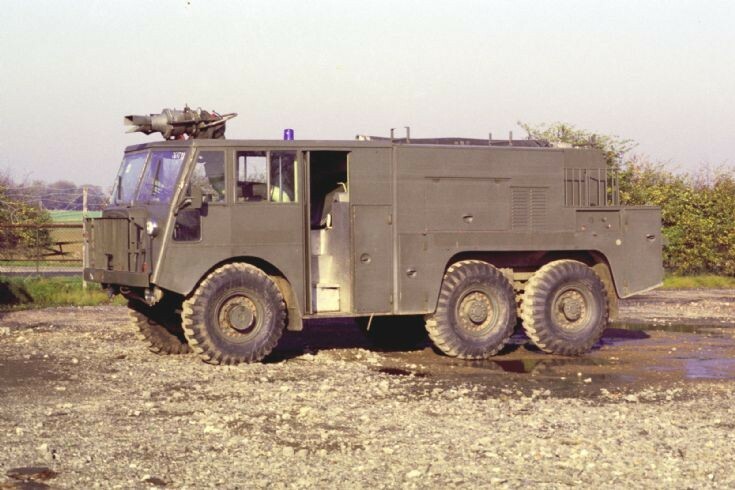 I slept 3 nights in the back of 996, outside the FA station – and called out to render FA to people who had driven through the night to get prime spots and then fallen or bumped into something as they stumbled about in the dark.